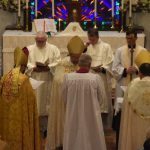 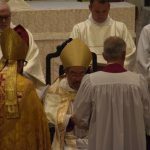 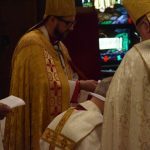 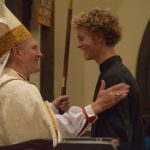 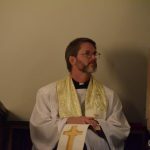 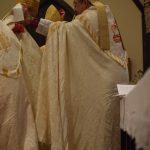 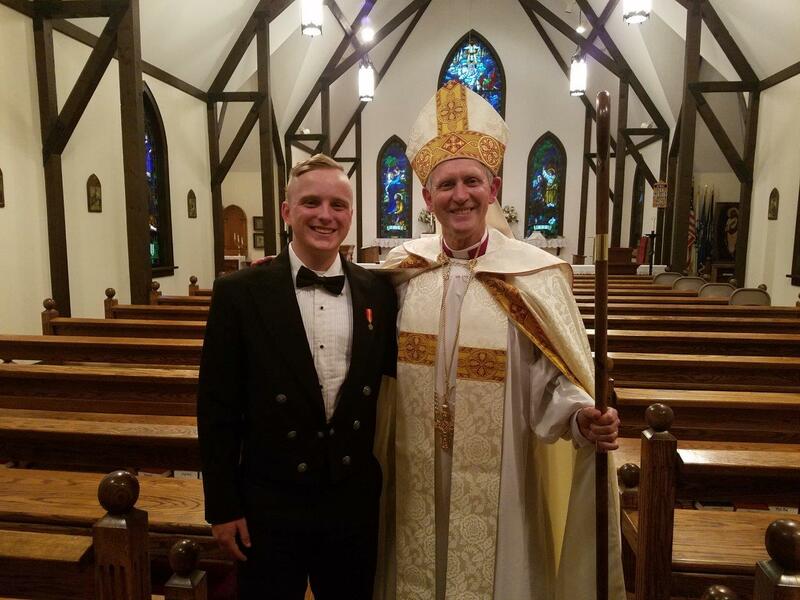 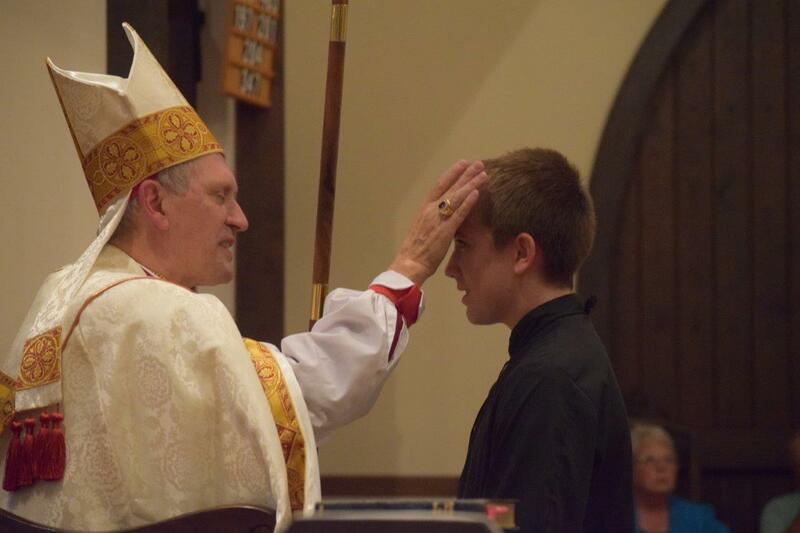 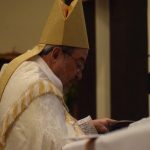 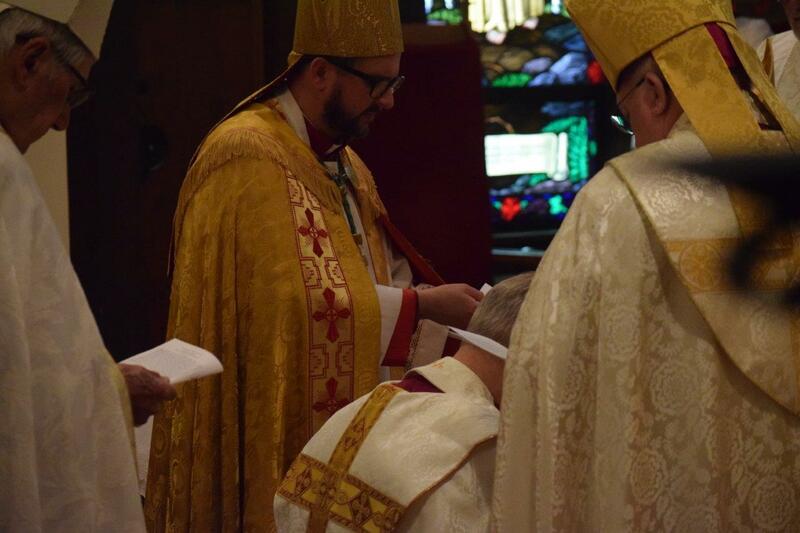 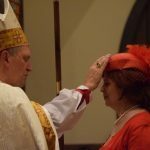 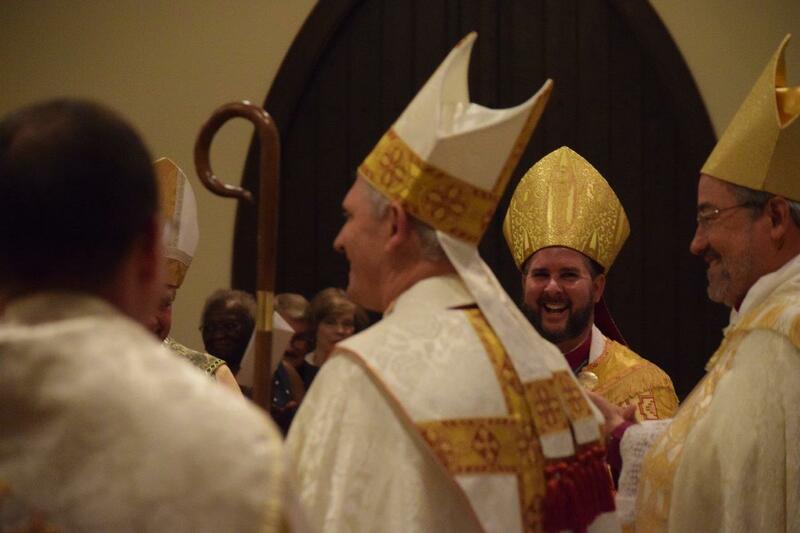 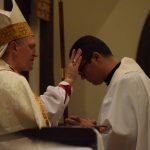 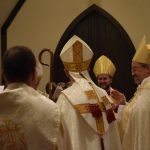 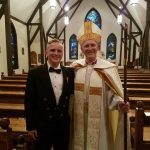 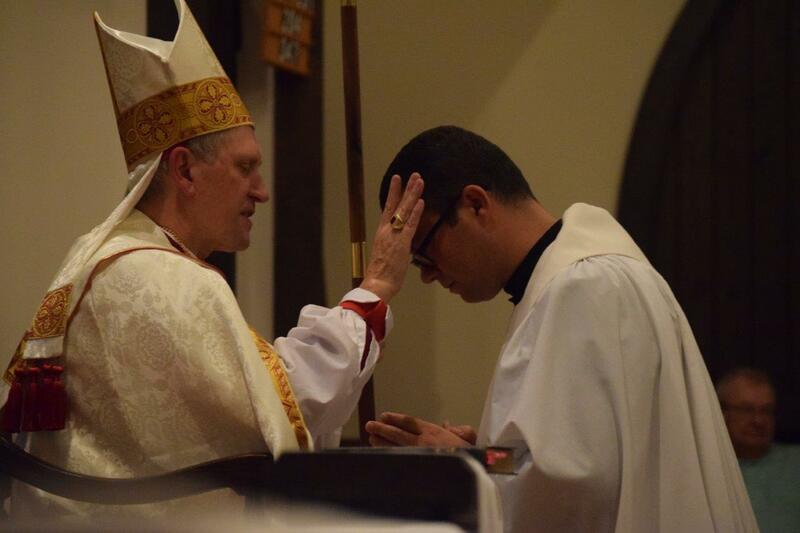 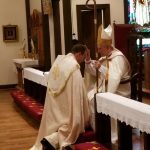 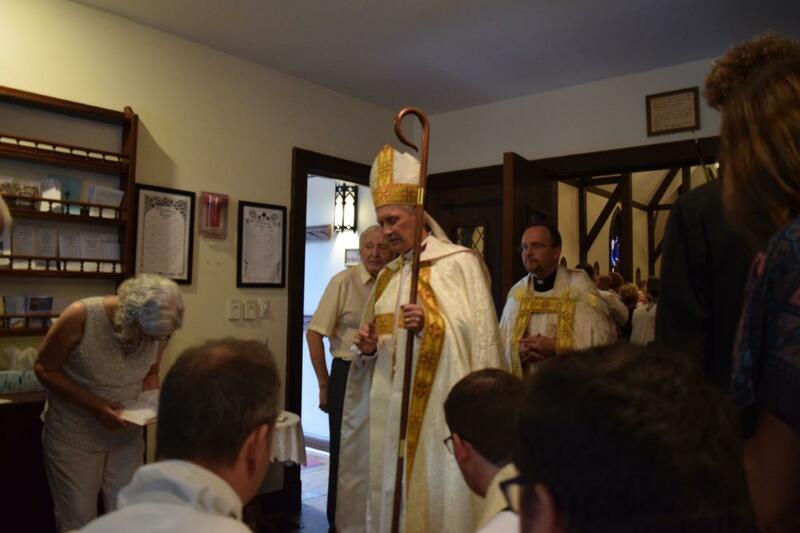 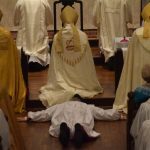 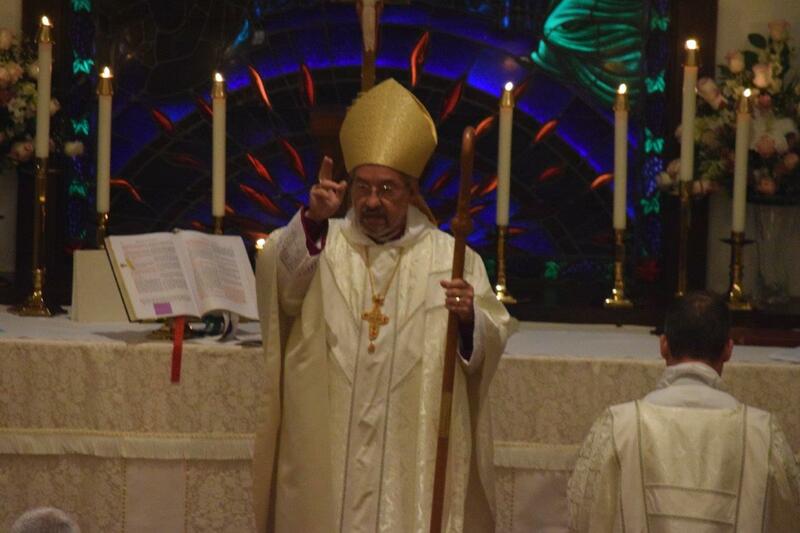 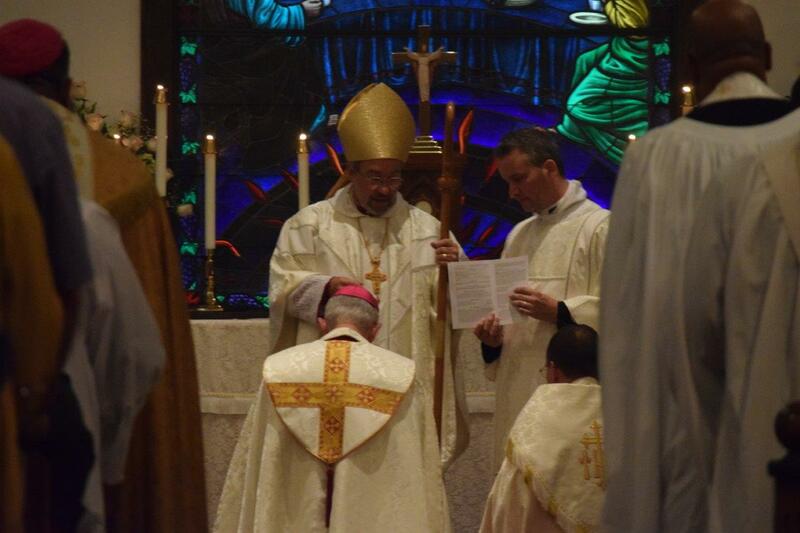 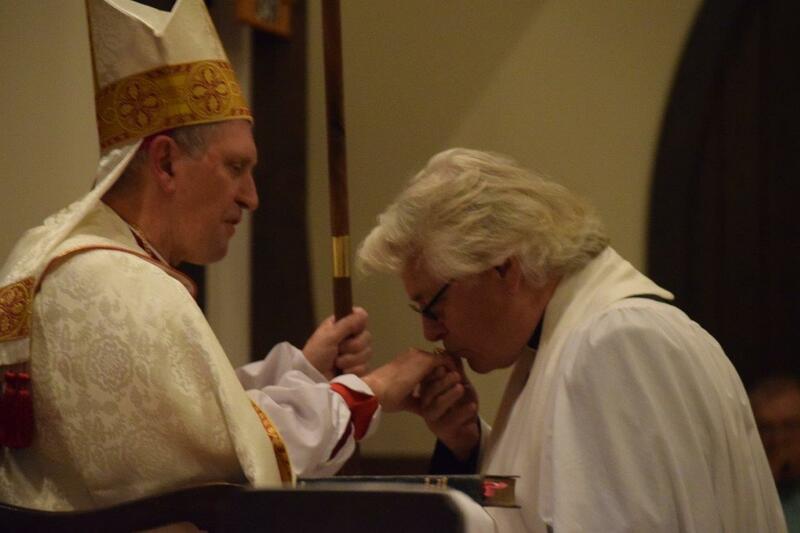 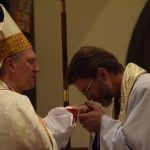 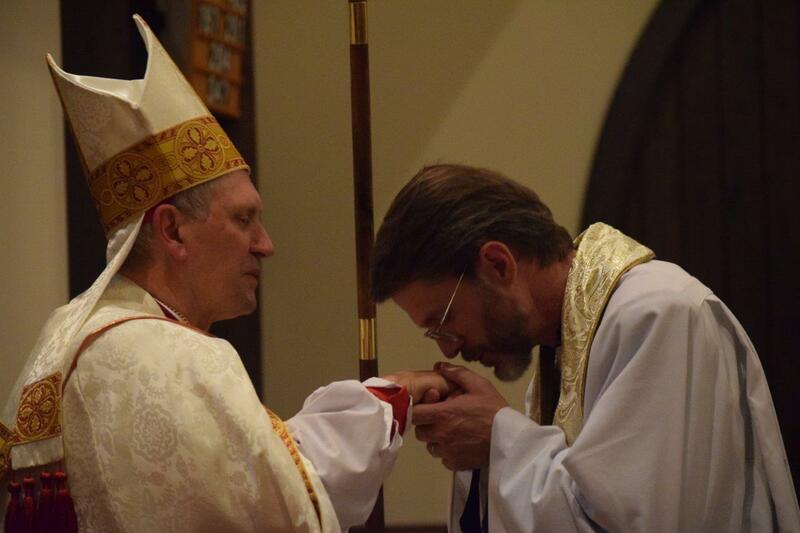 On July 19, 2018, in an historic first for the Anglican Province of America (APA), the Very Rev’d David William Haines was consecrated a bishop for foreign lands. 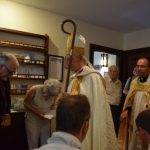 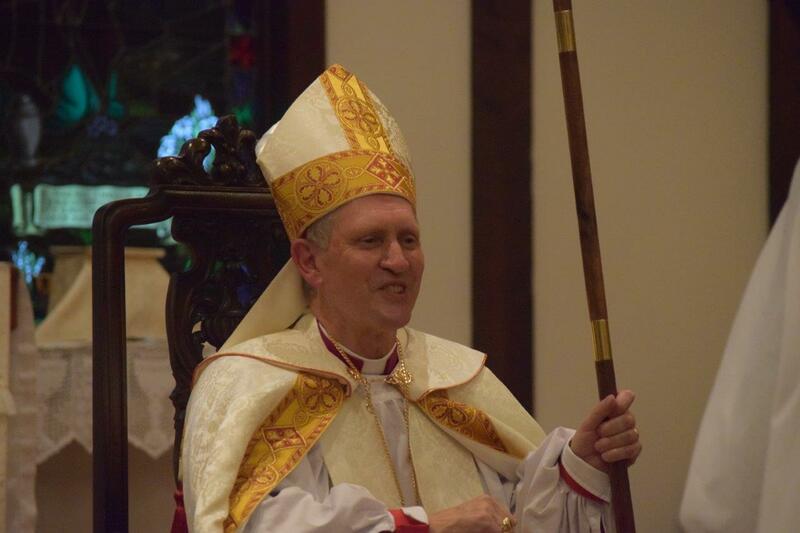 Bishop Haines will be responsible for episcopal oversight of the Missionary District of the Caribbean and the Indigenous Pastorale of the APA in Ecuador. 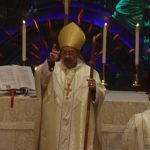 Bishop Haines, who has been the Vicar General of the APA’s Office of Global Partnerships since 2011, will continue to guide that office, which also oversees work in India and the Philippines. 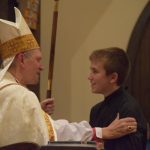 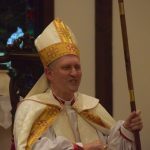 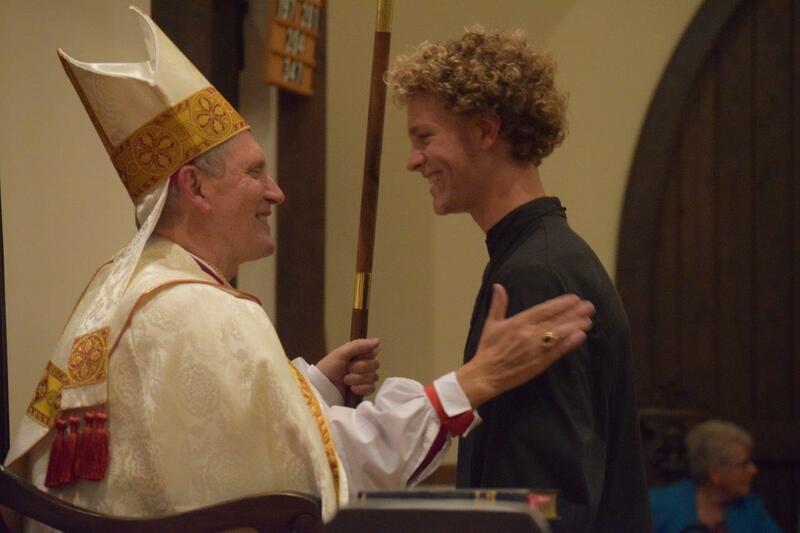 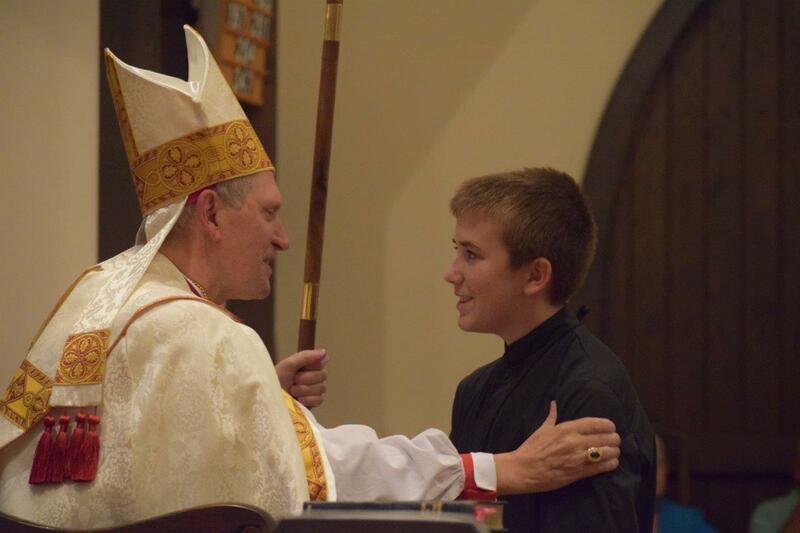 Bishop Haines is the rector of All Saints Parish, Wilmington, North Carolina. 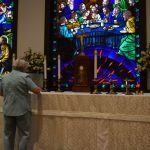 He and his wife Lucy have been married since 1992. 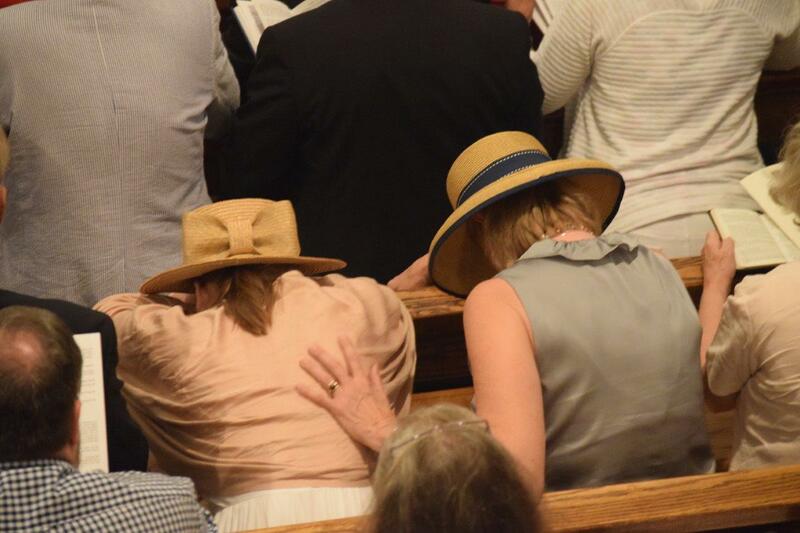 They have three children. 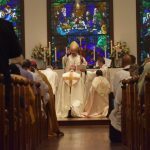 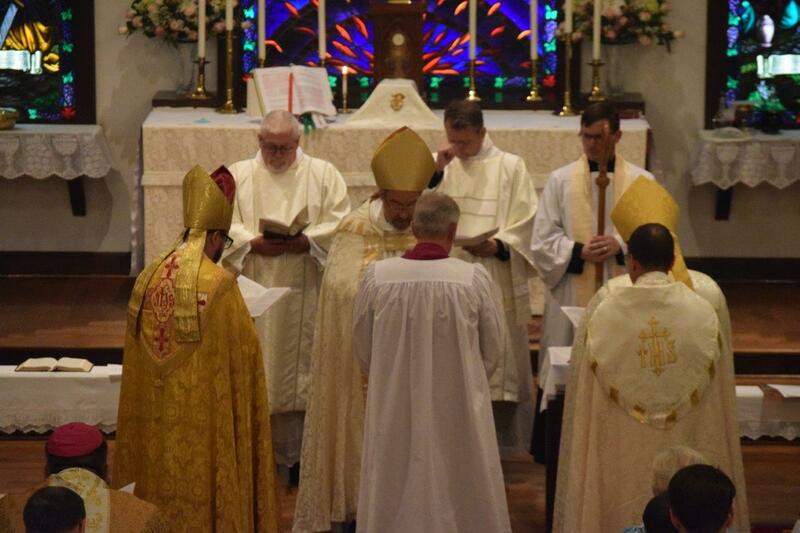 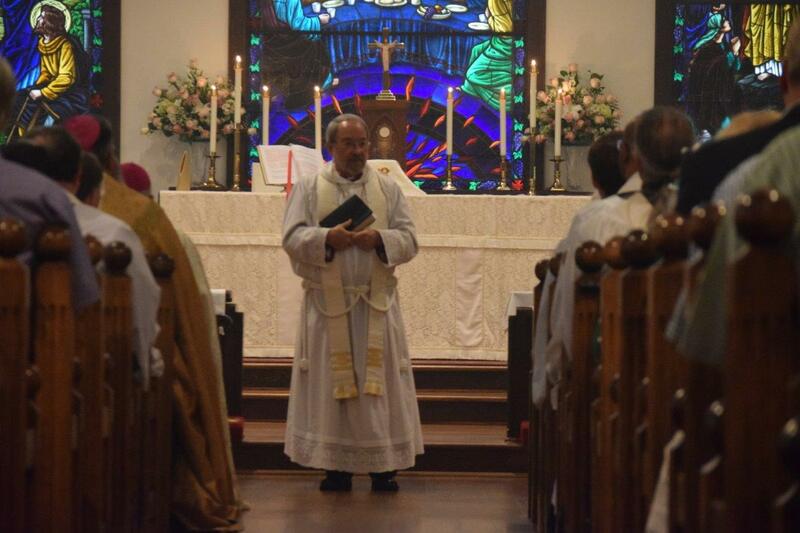 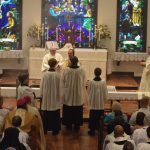 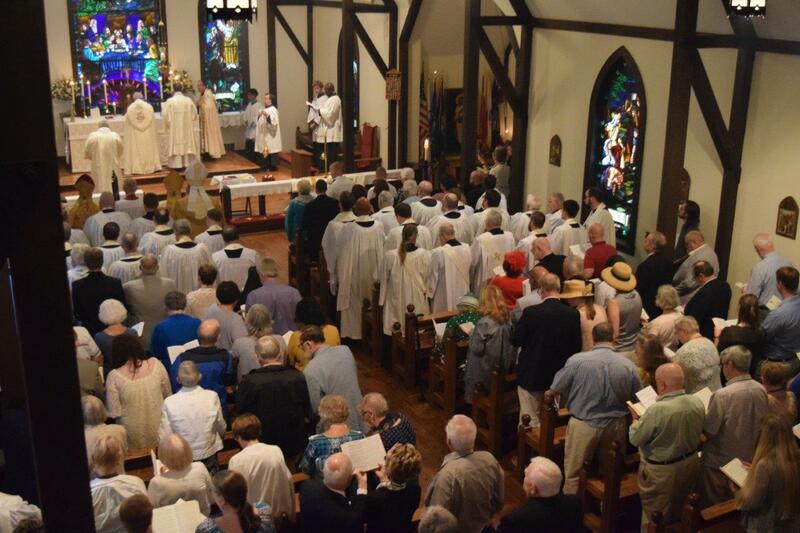 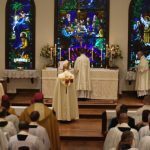 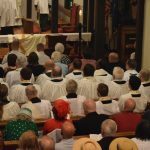 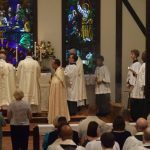 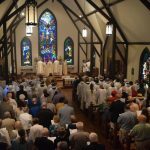 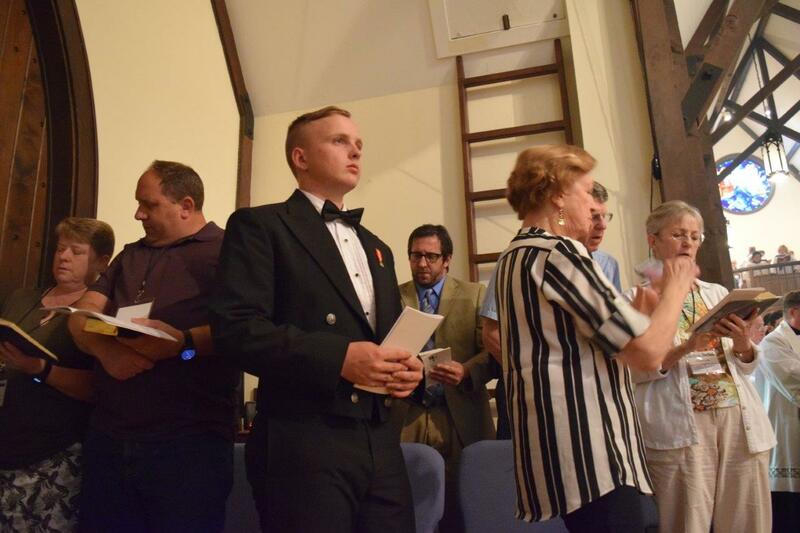 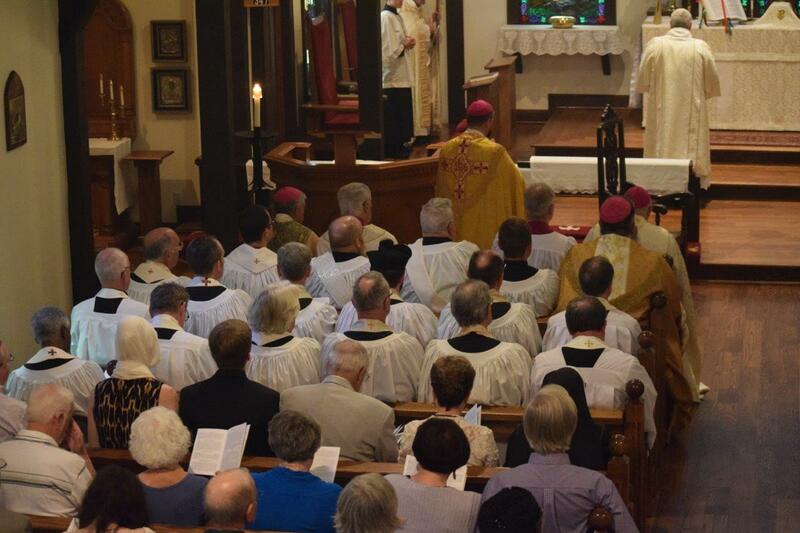 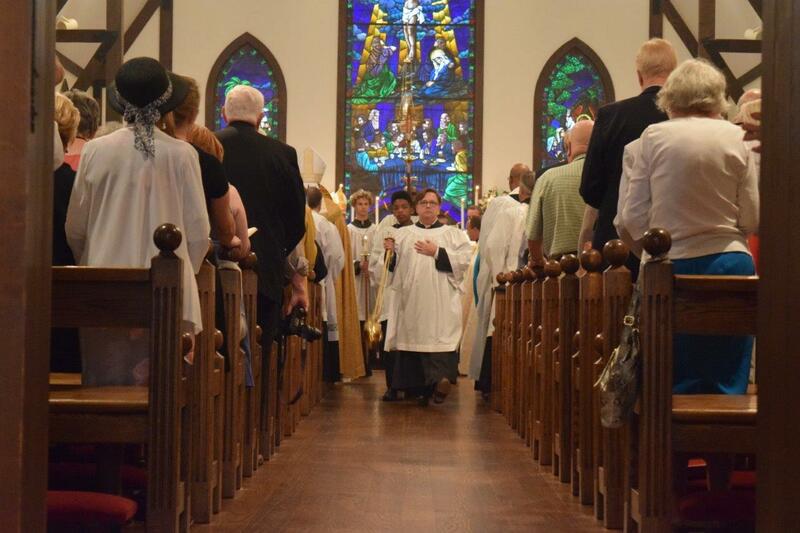 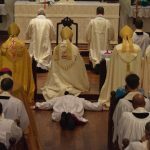 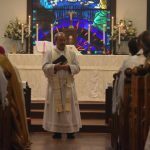 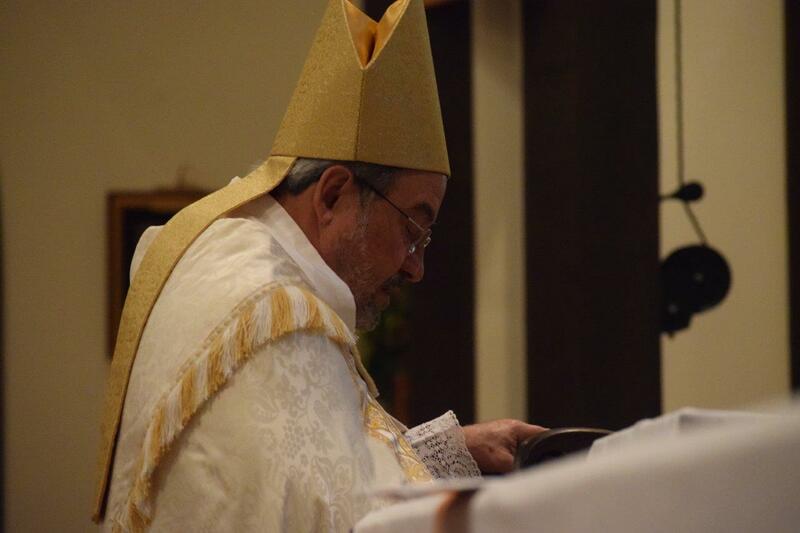 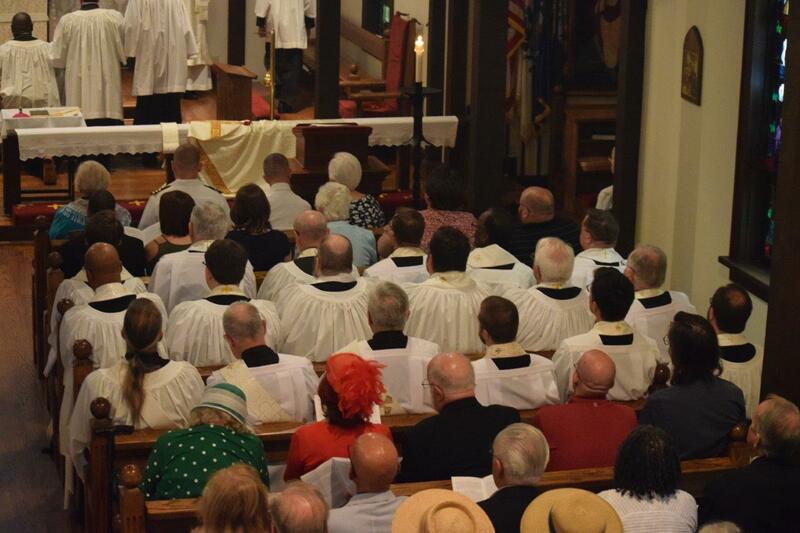 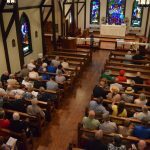 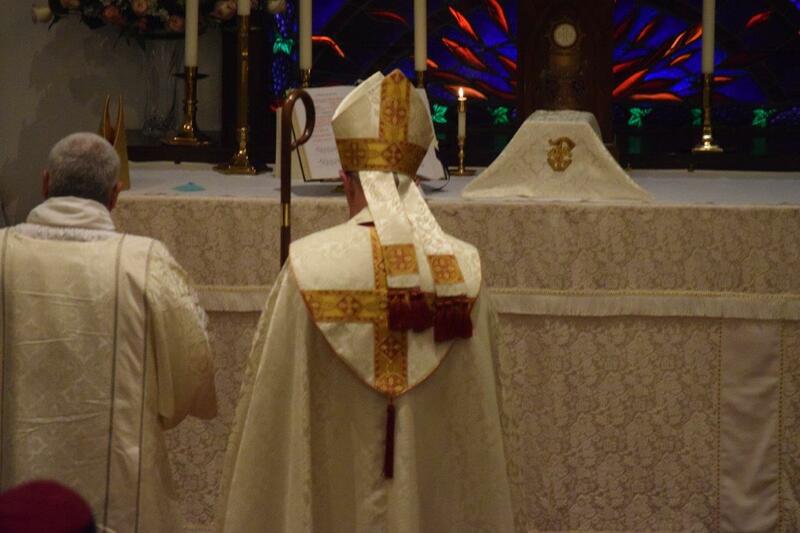 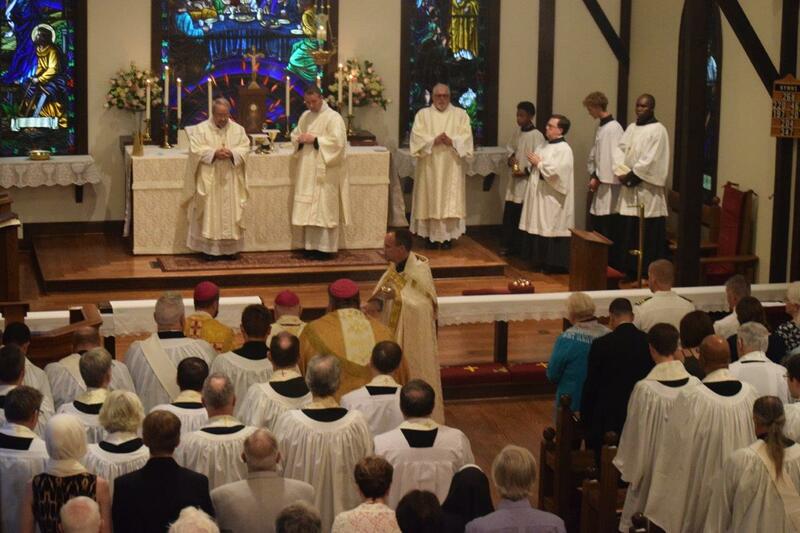 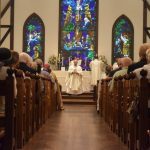 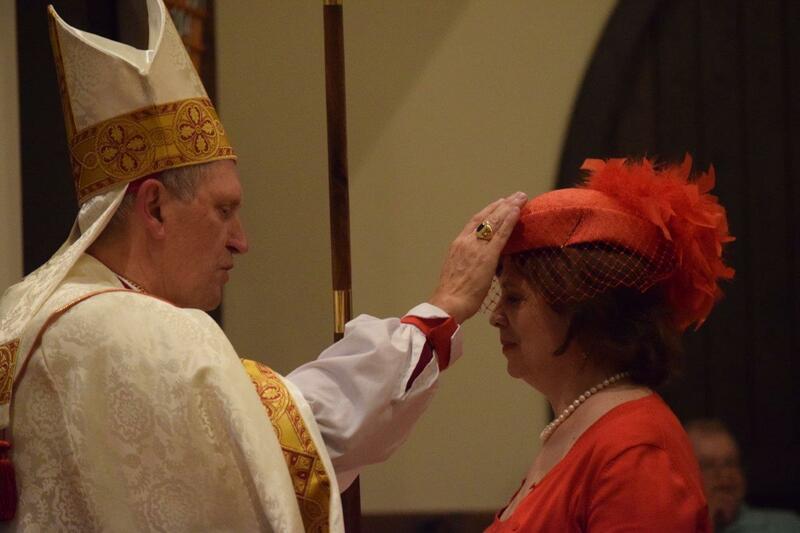 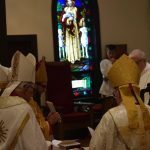 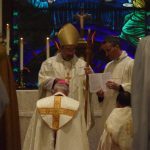 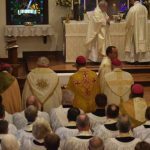 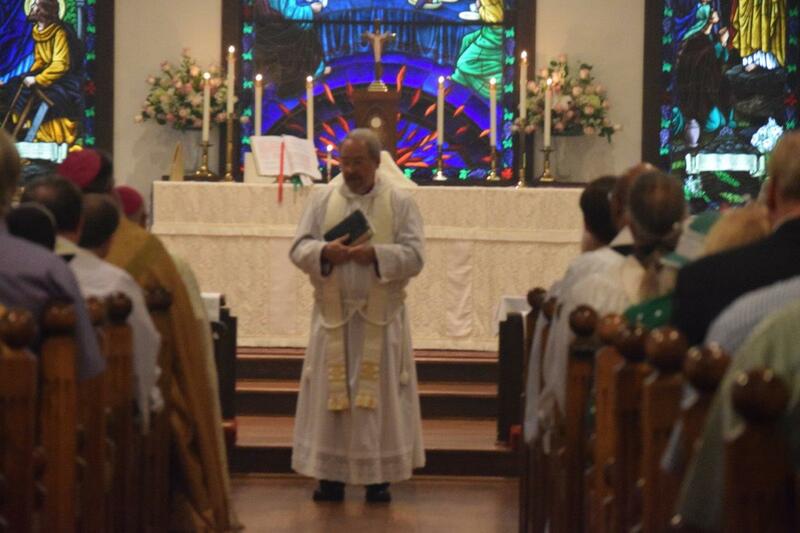 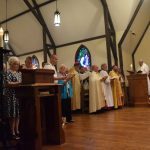 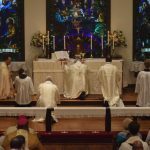 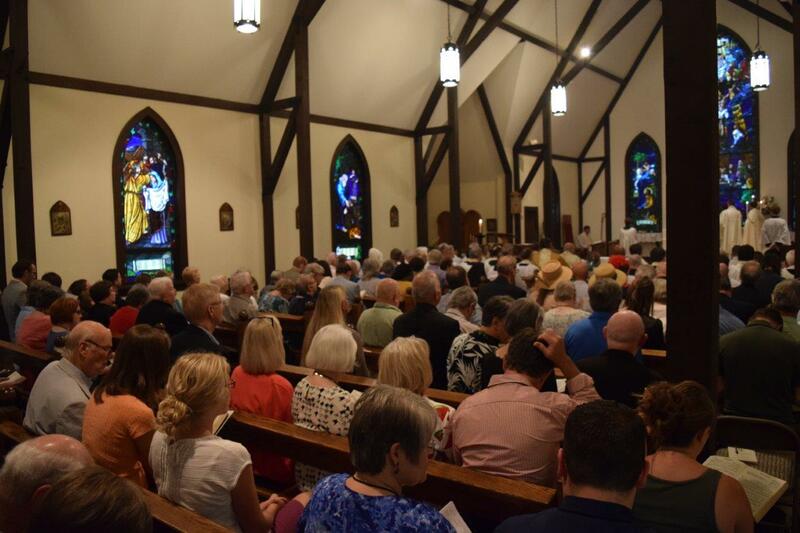 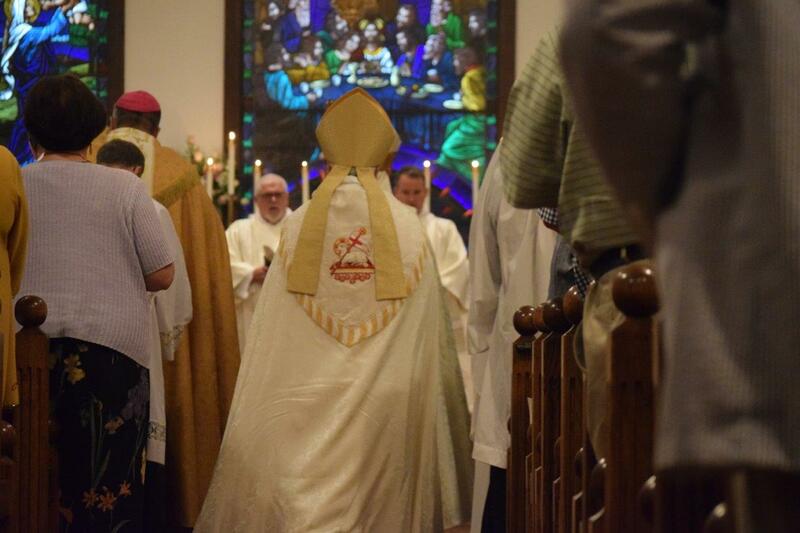 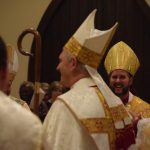 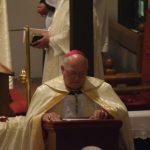 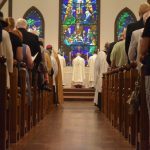 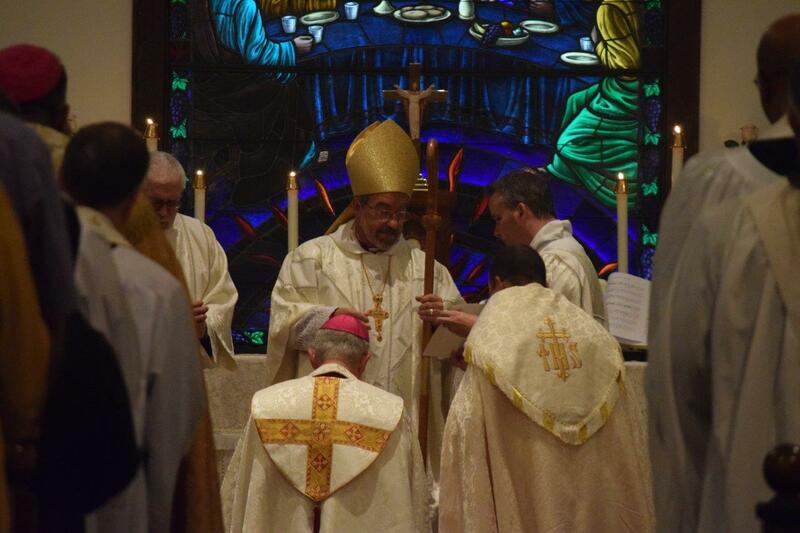 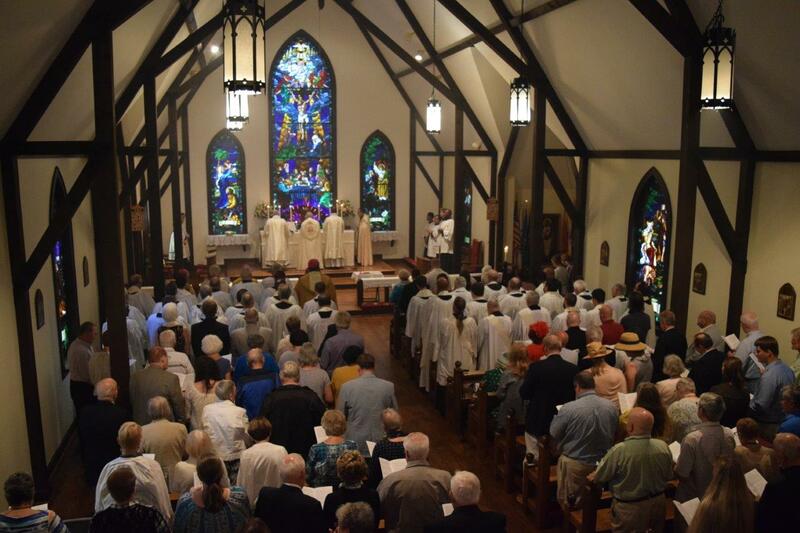 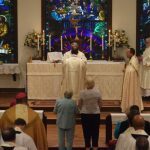 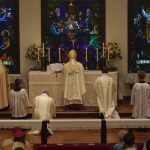 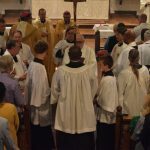 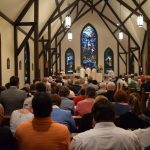 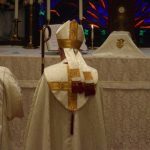 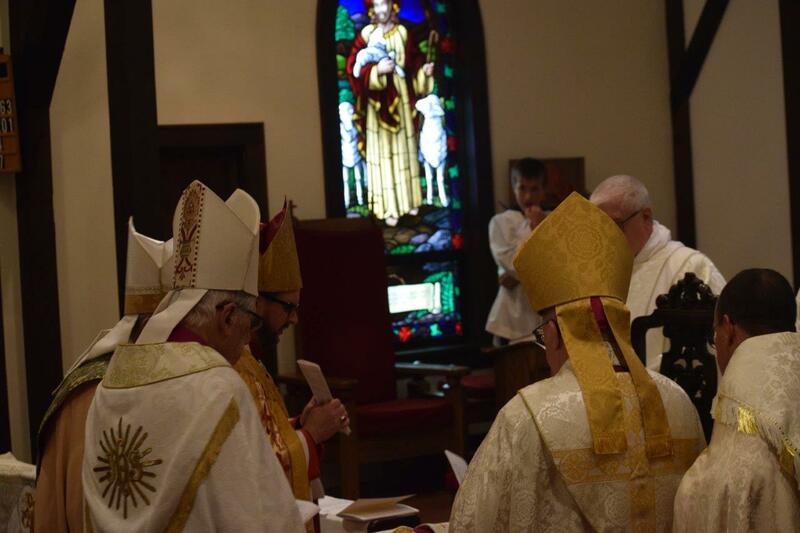 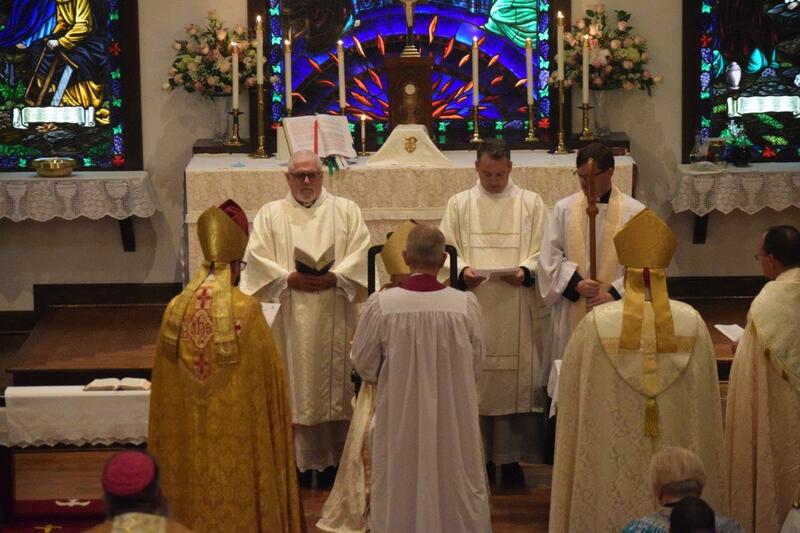 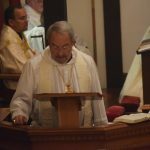 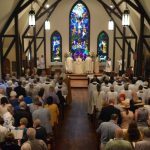 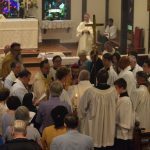 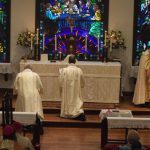 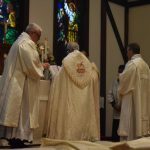 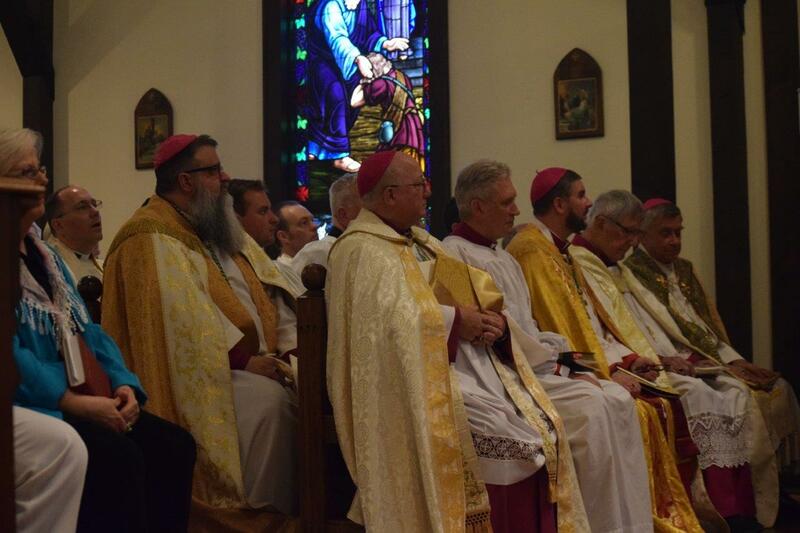 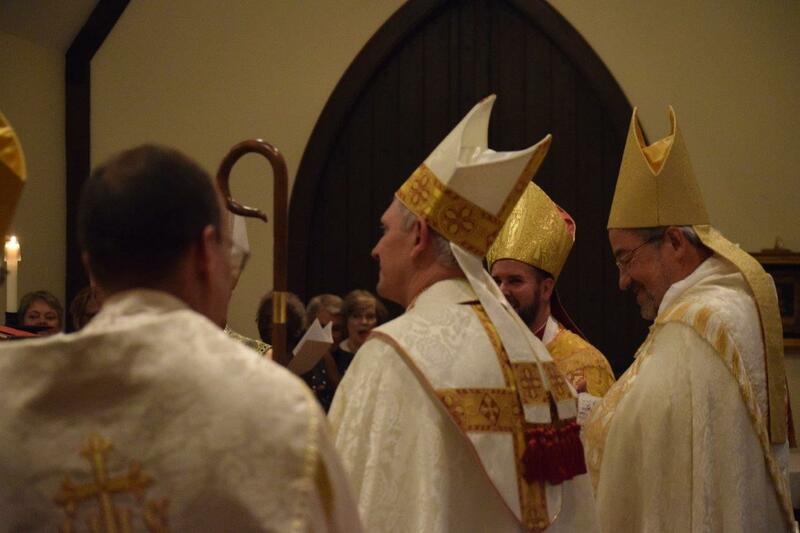 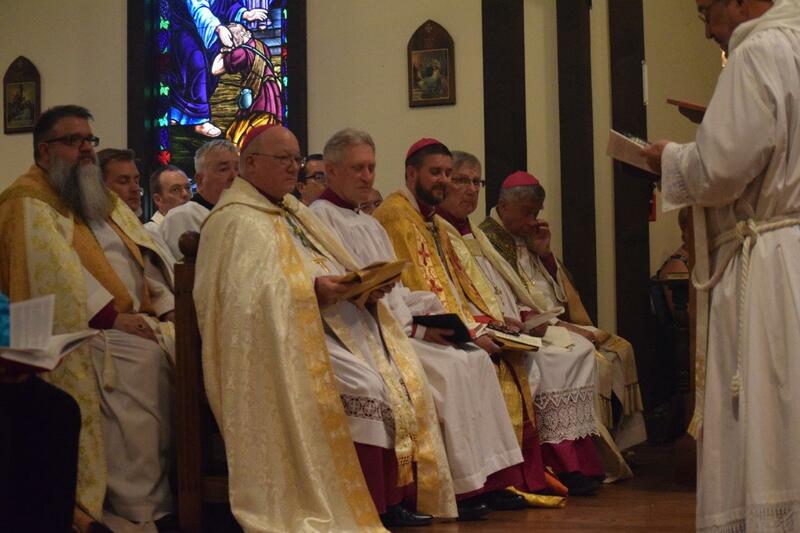 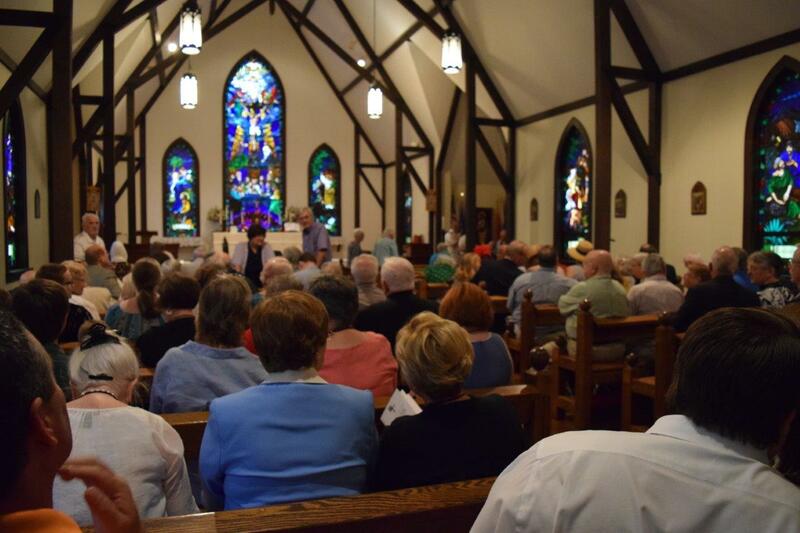 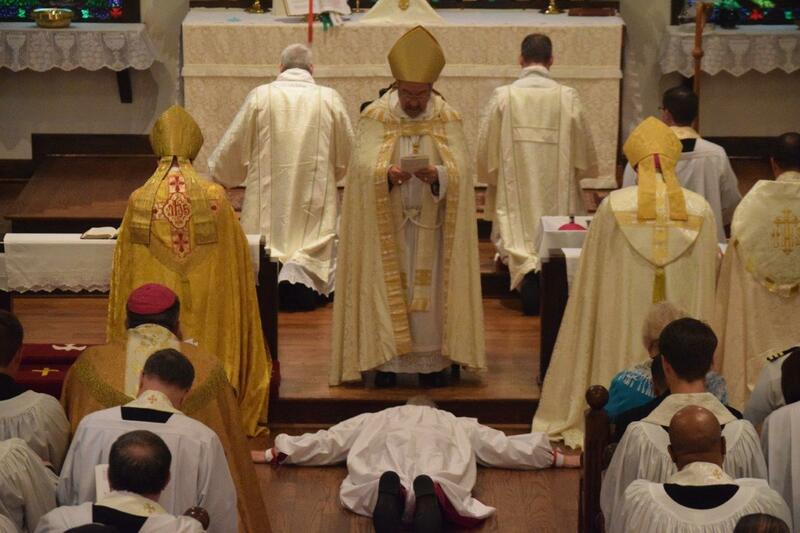 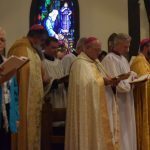 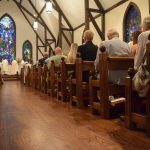 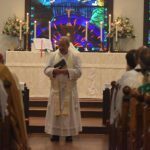 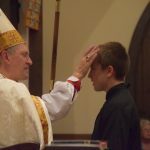 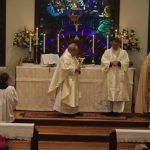 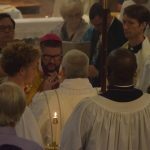 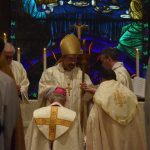 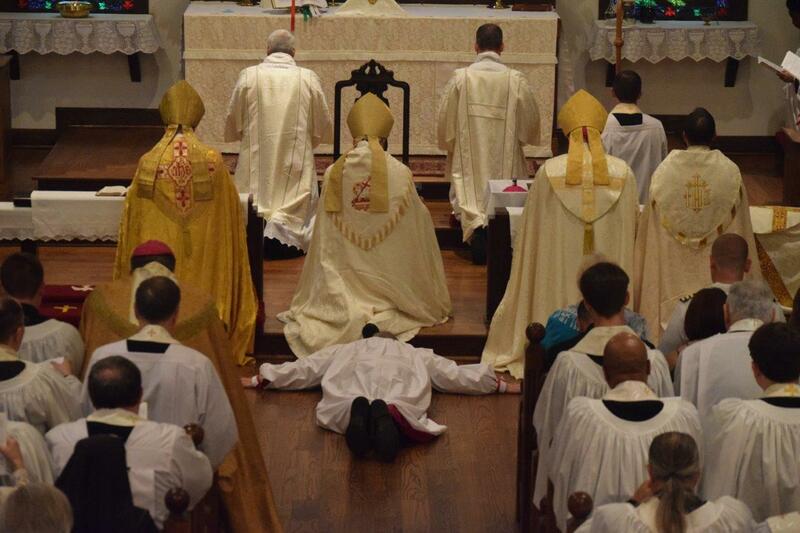 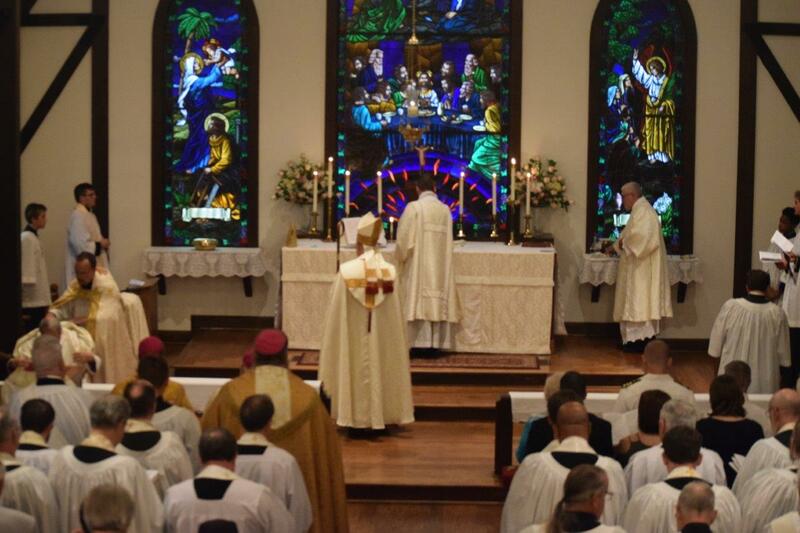 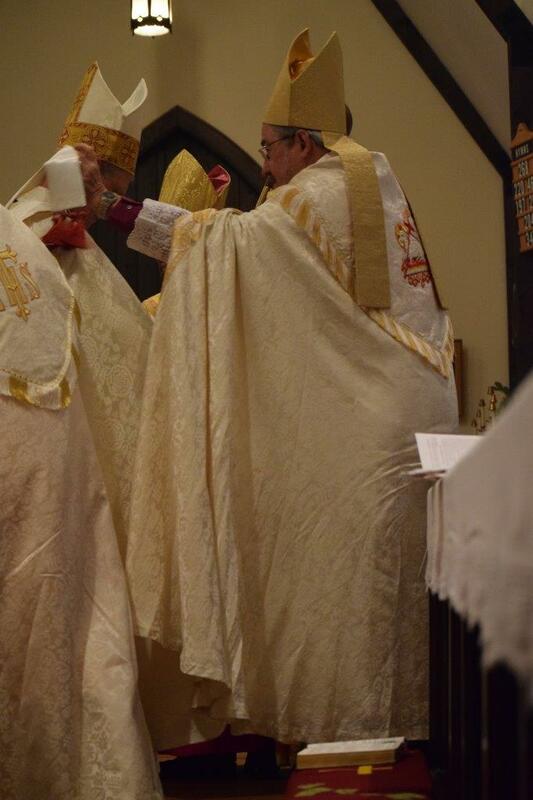 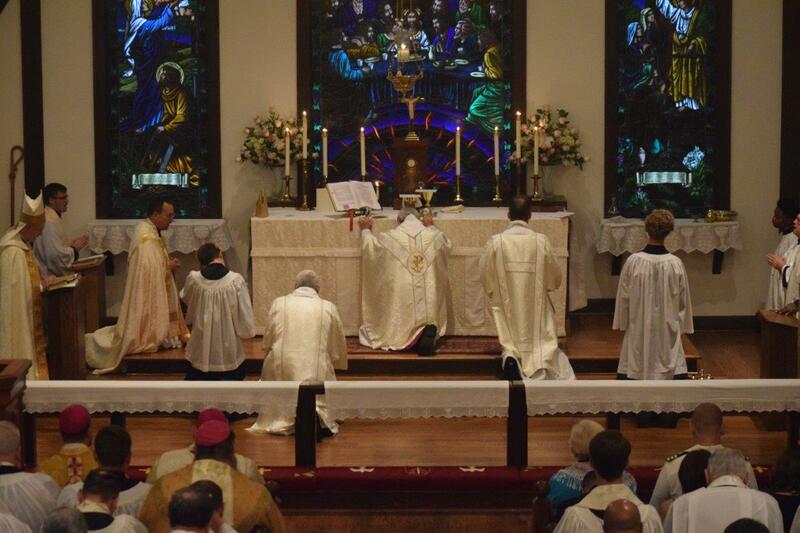 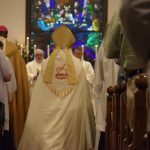 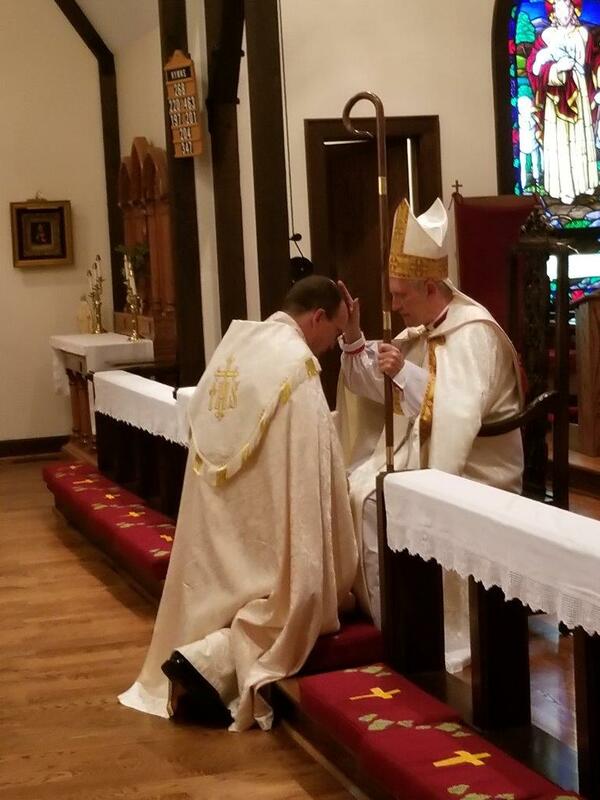 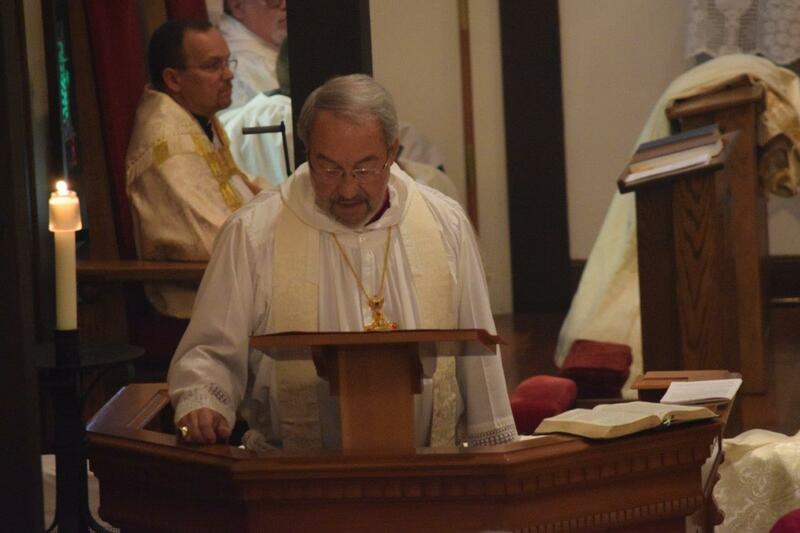 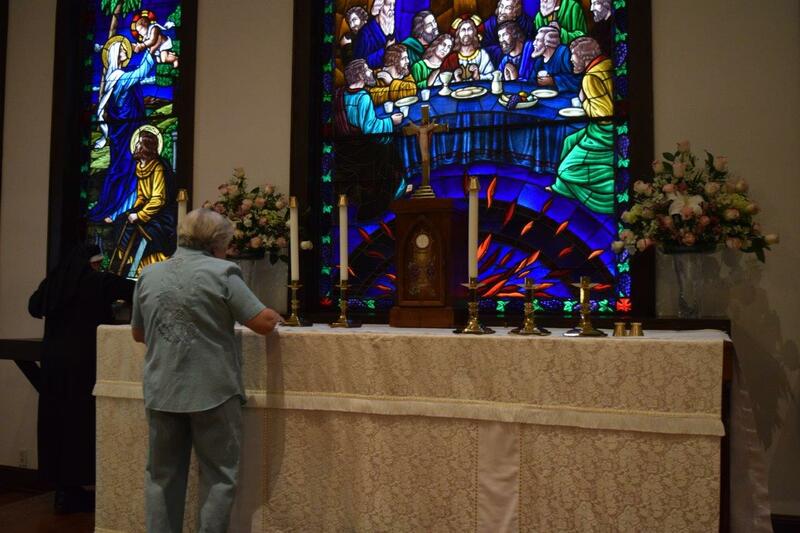 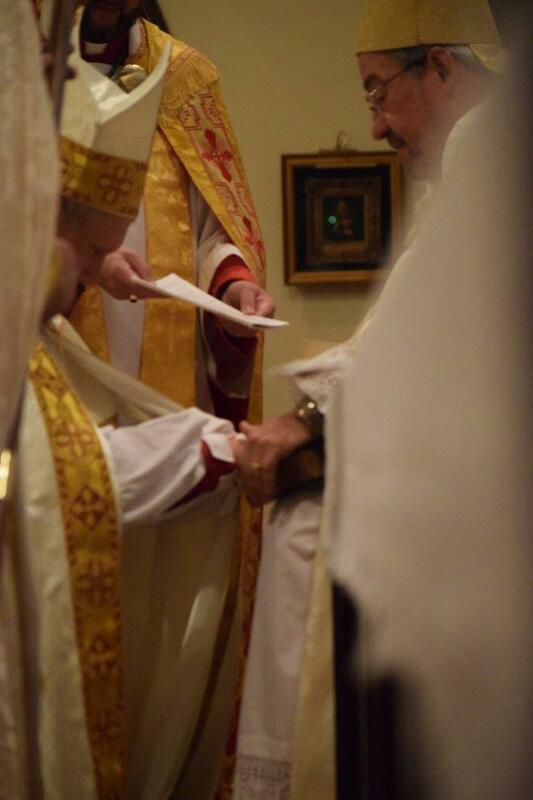 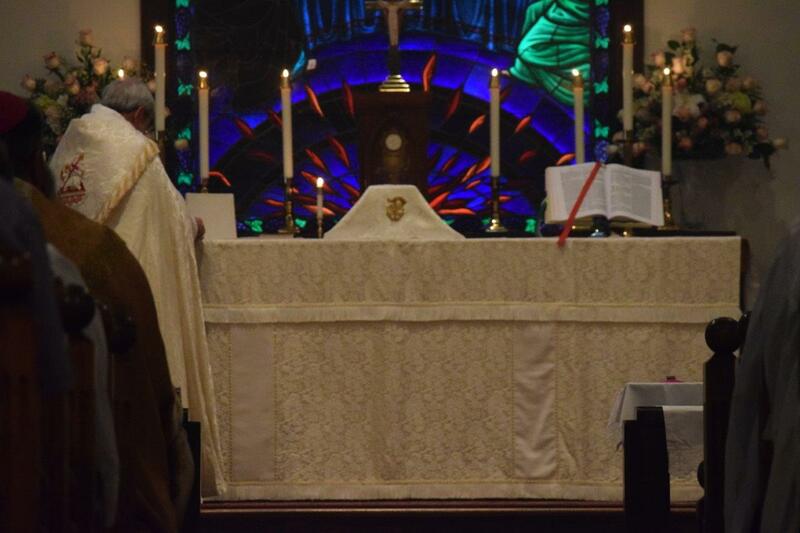 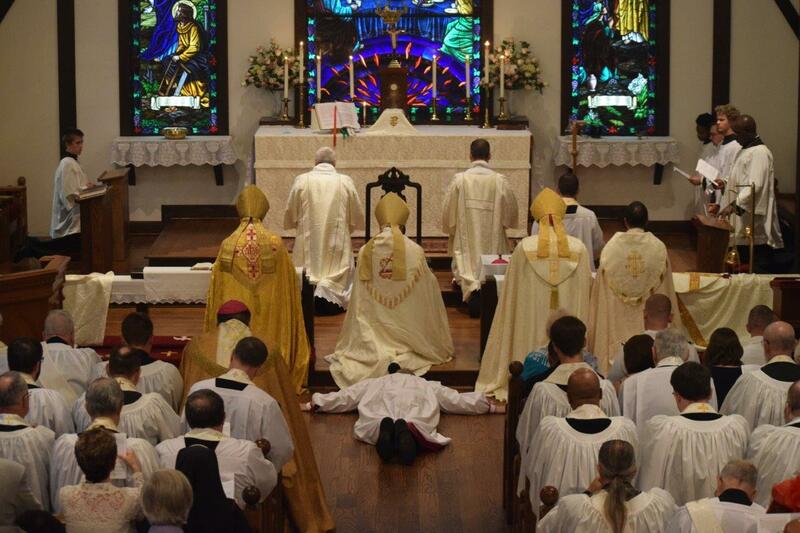 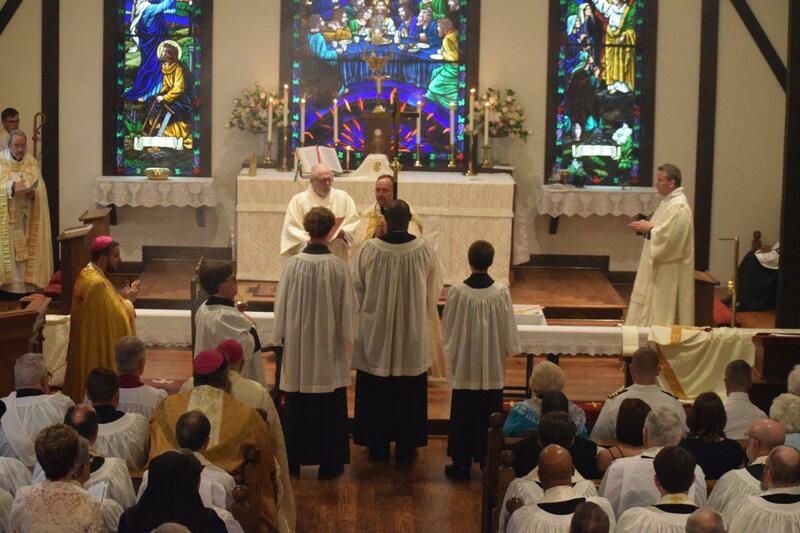 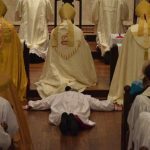 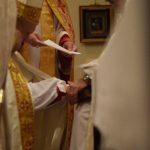 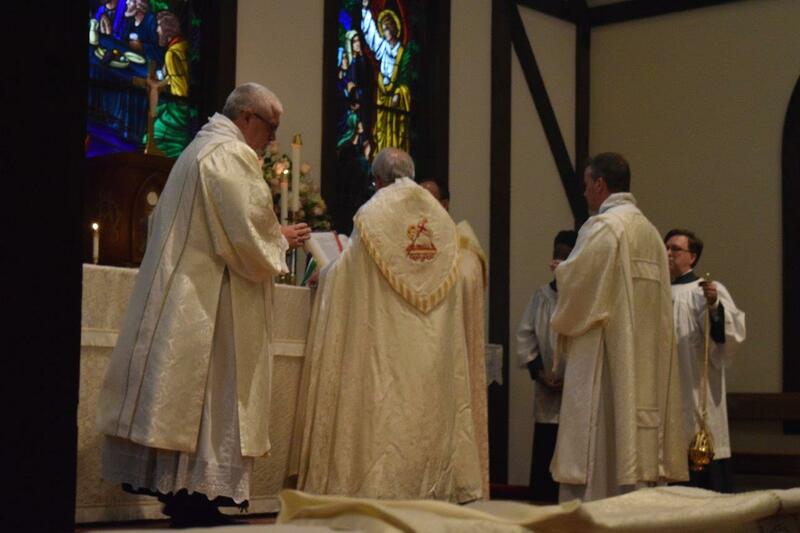 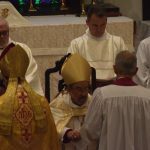 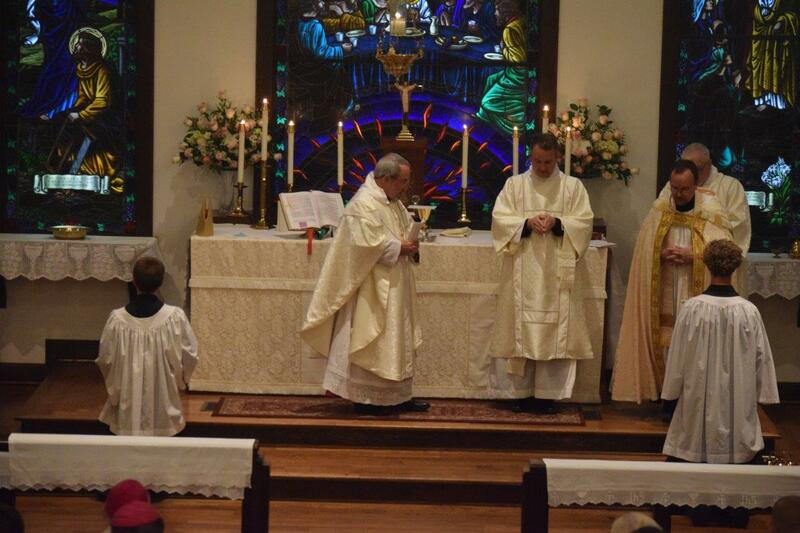 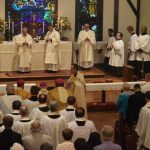 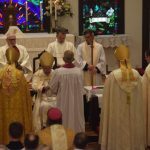 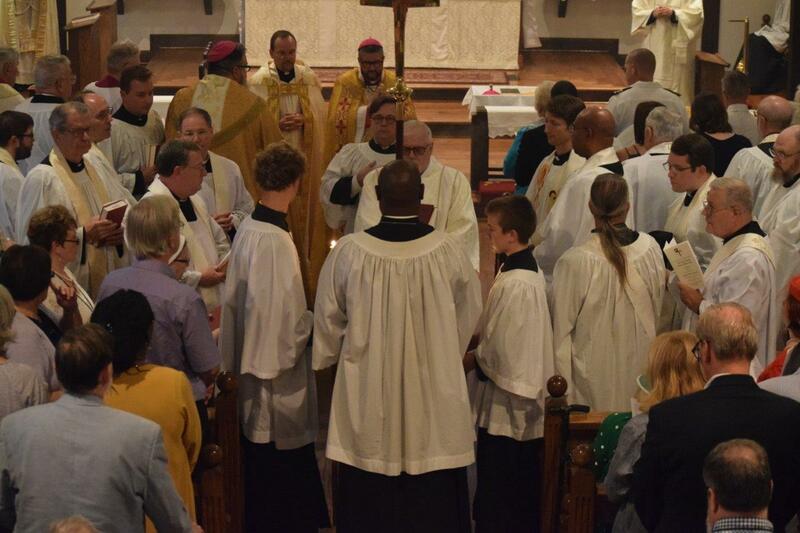 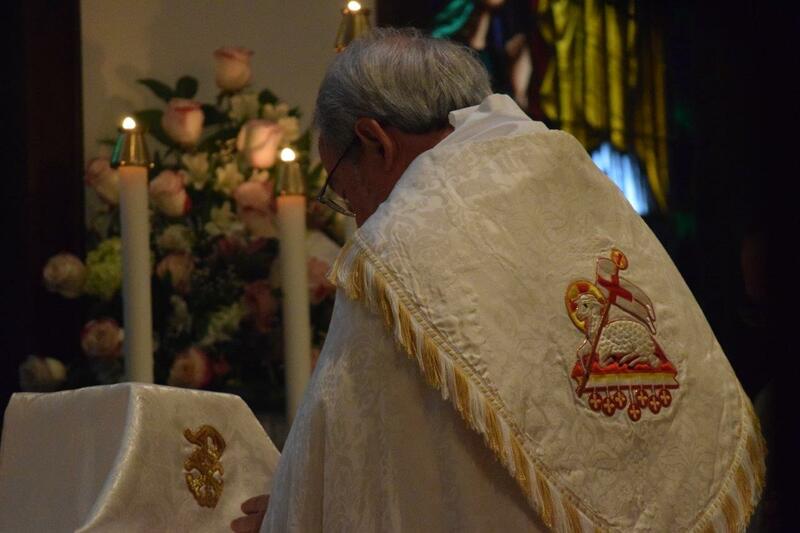 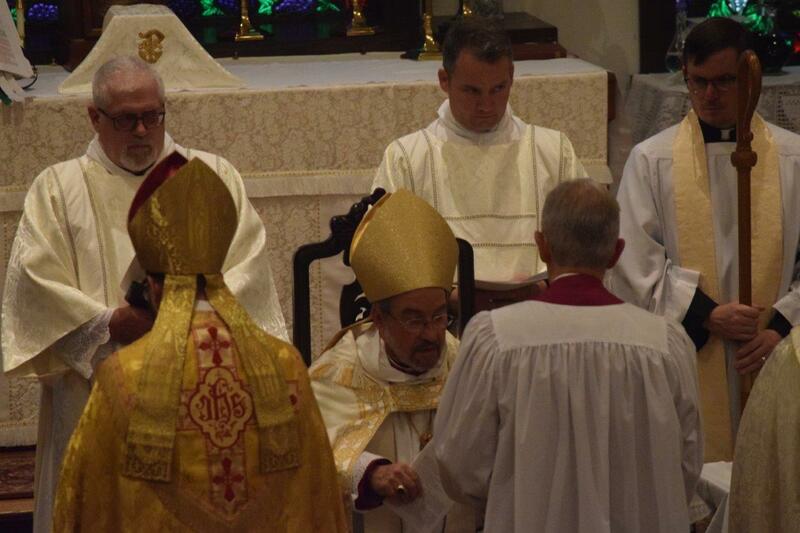 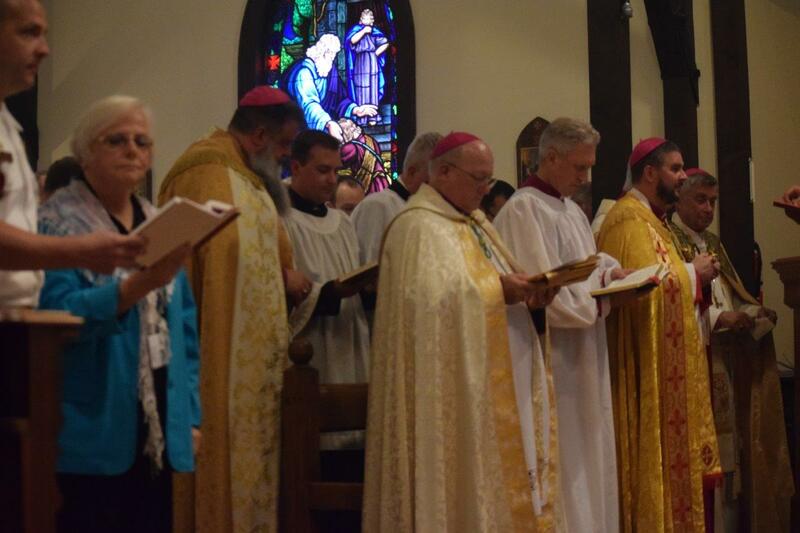 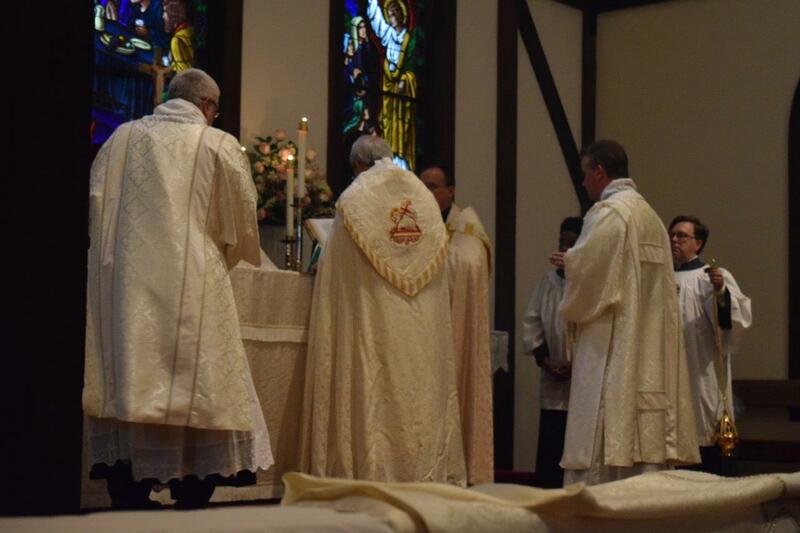 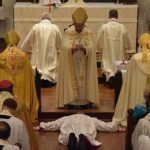 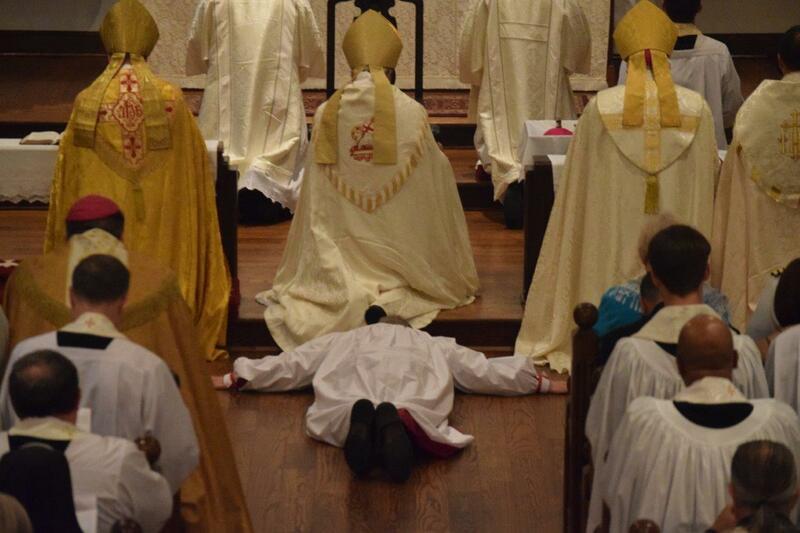 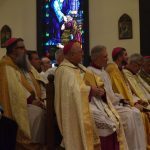 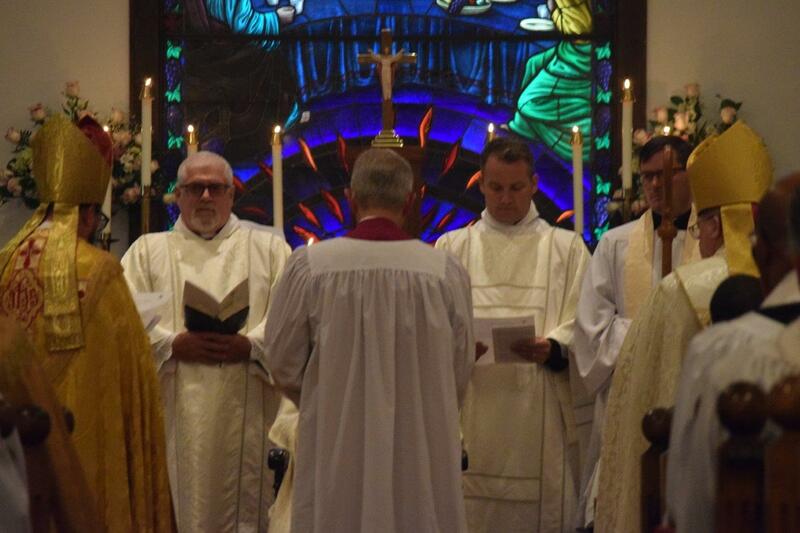 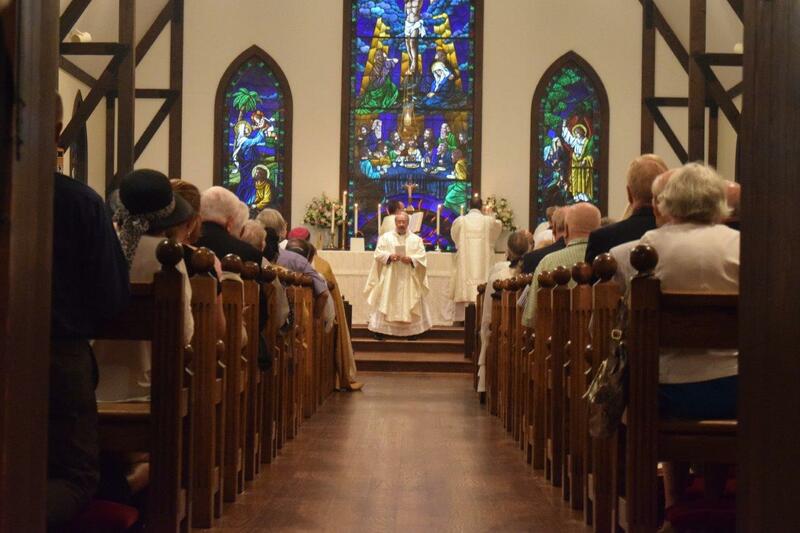 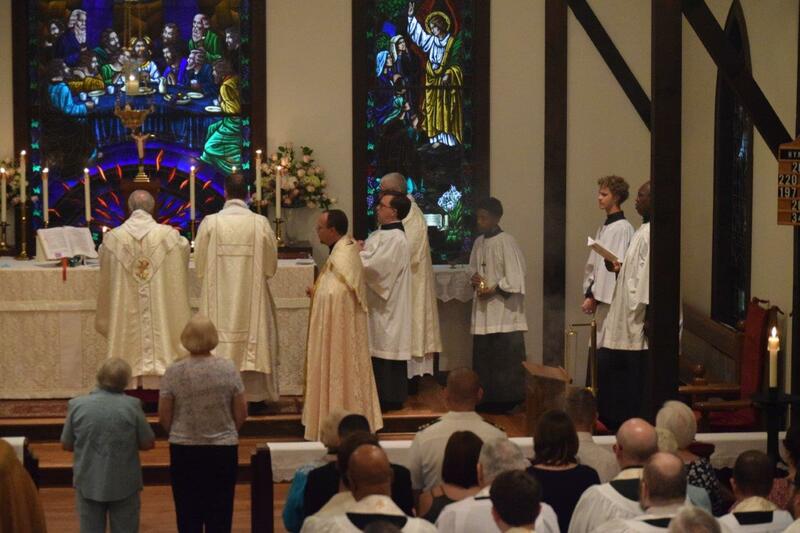 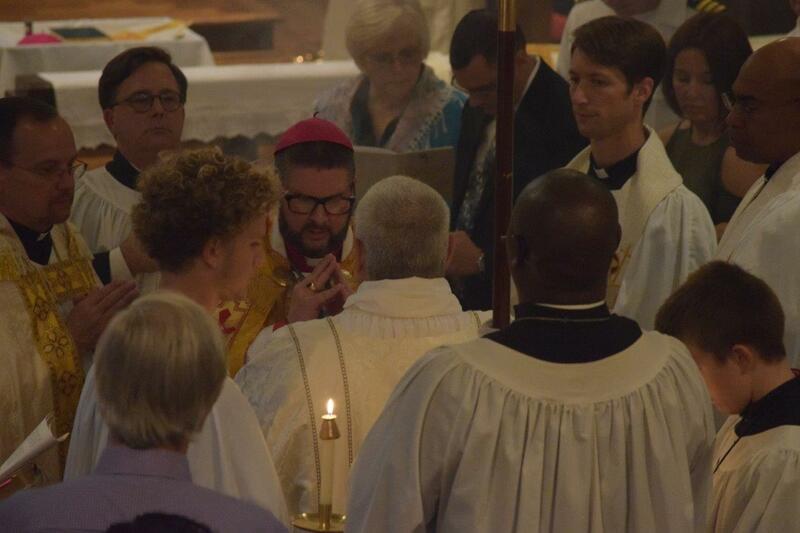 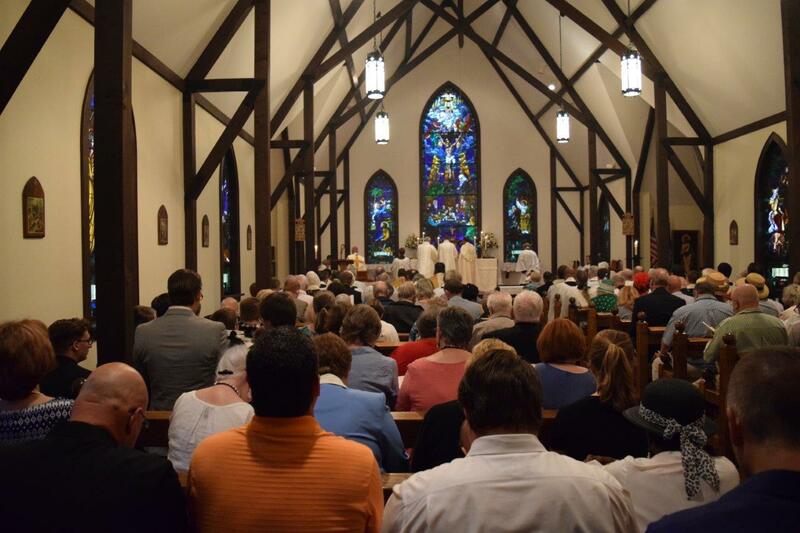 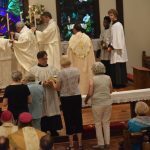 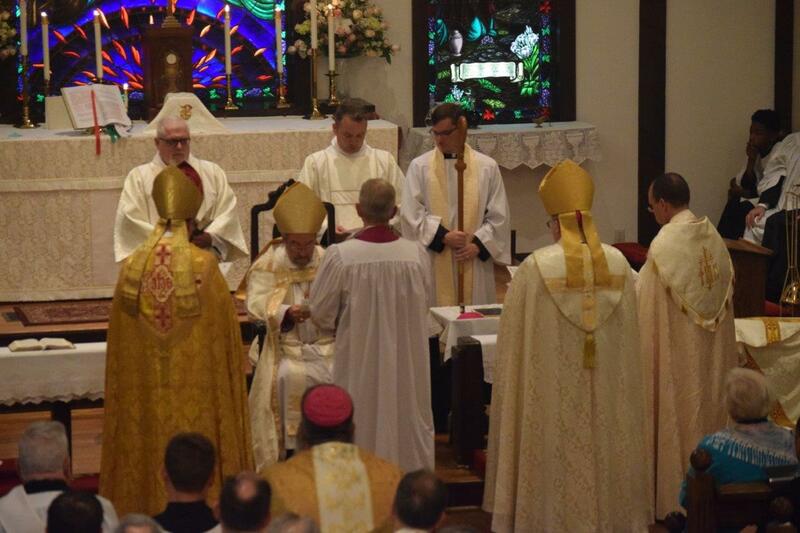 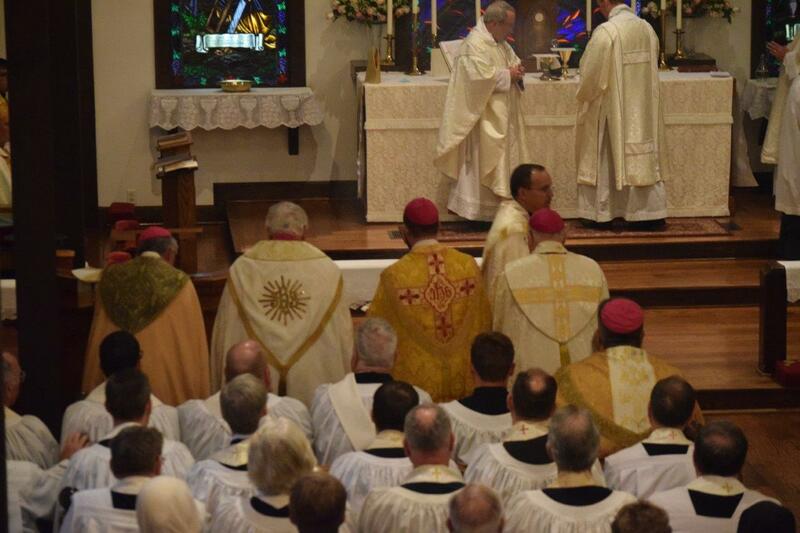 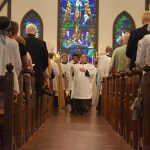 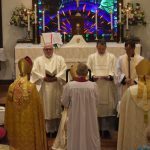 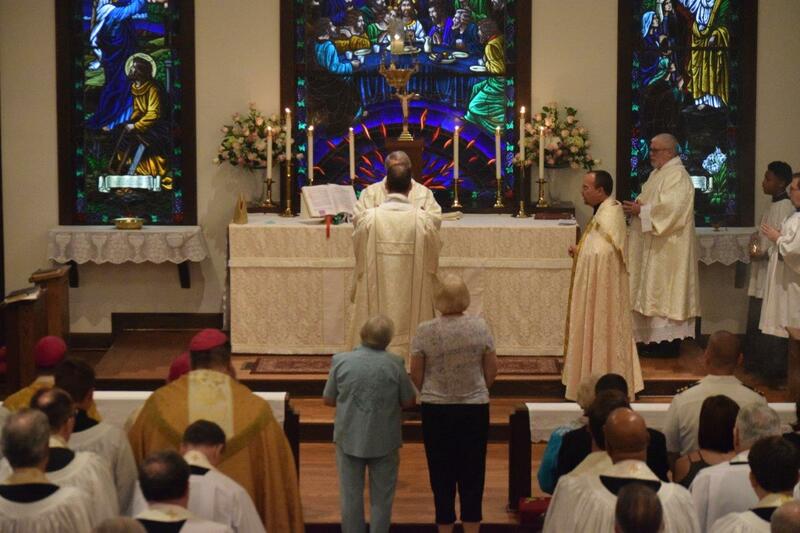 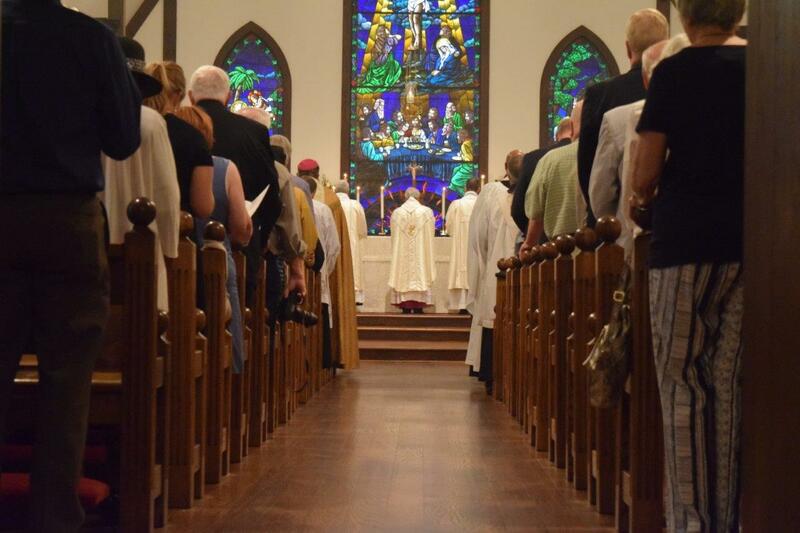 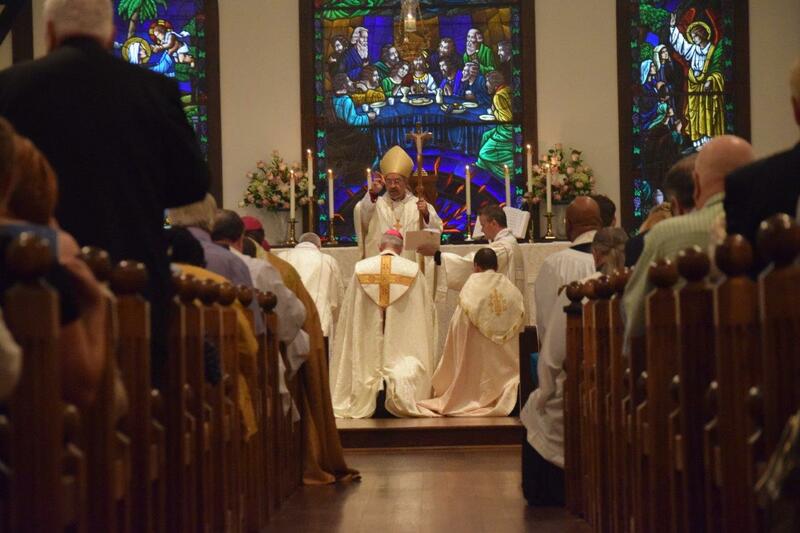 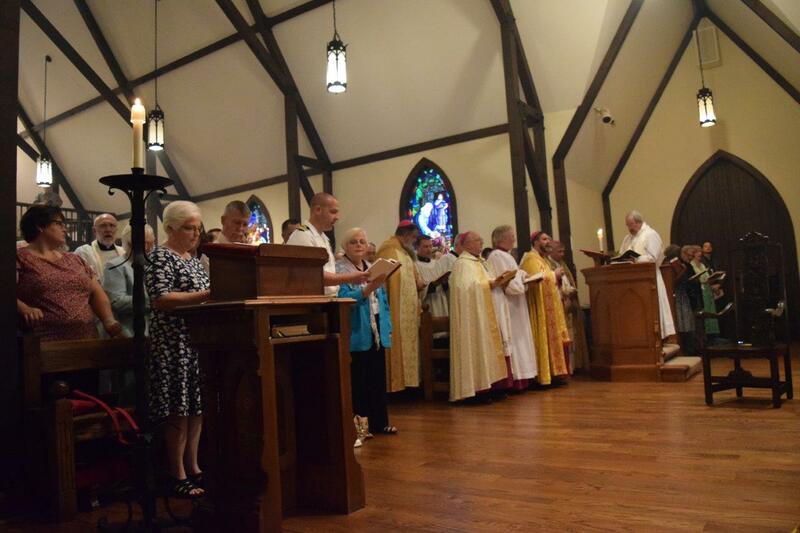 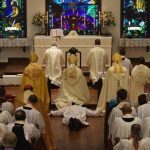 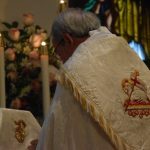 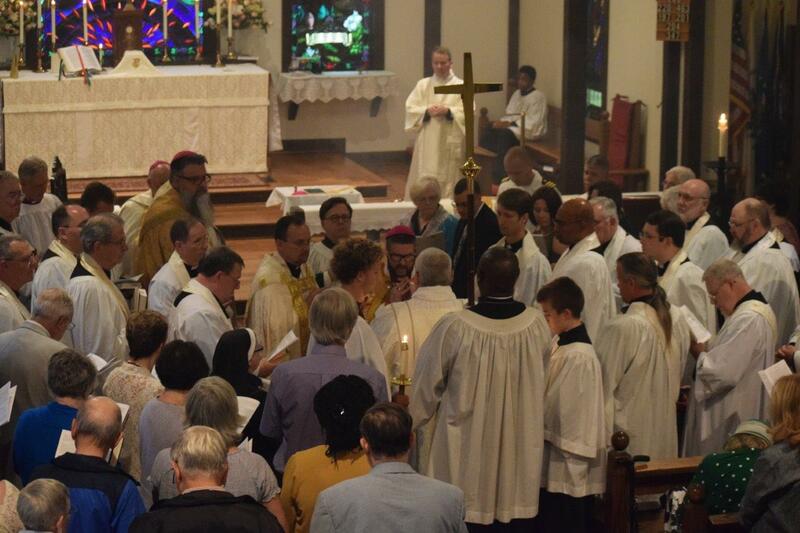 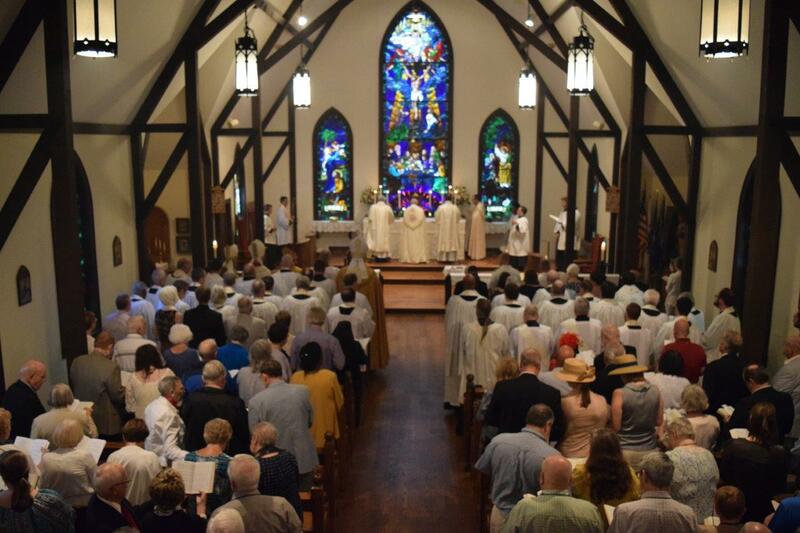 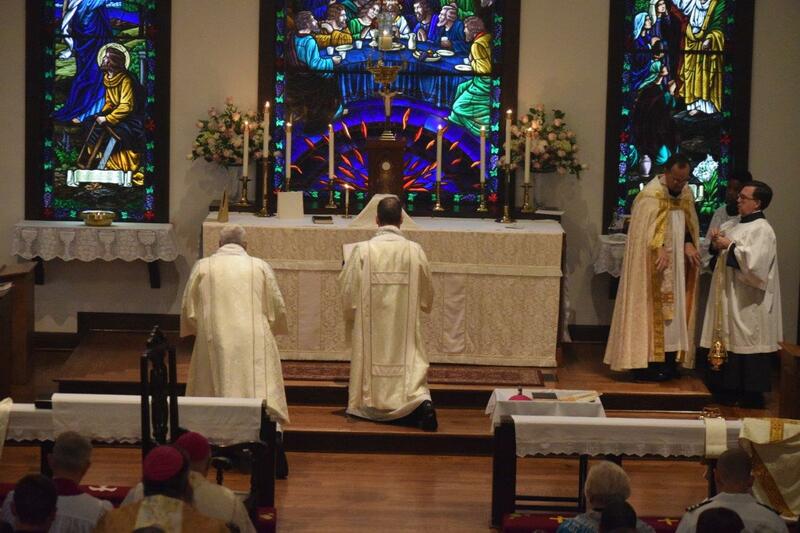 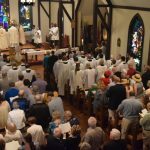 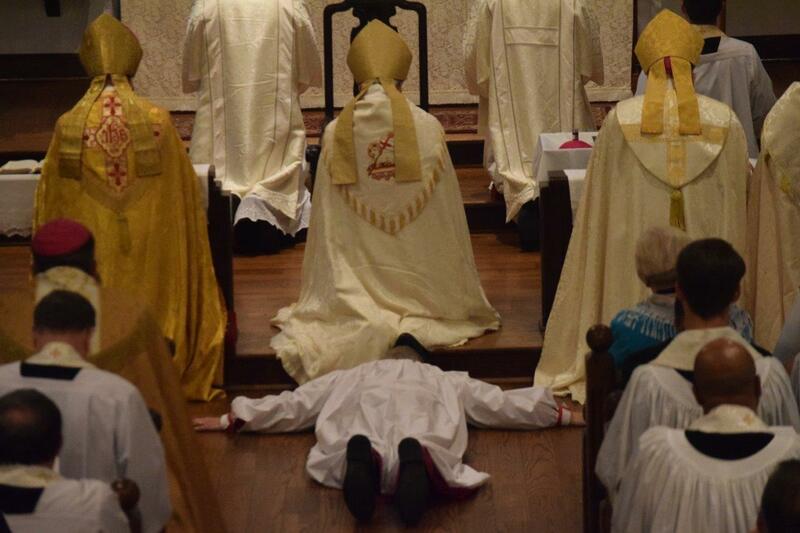 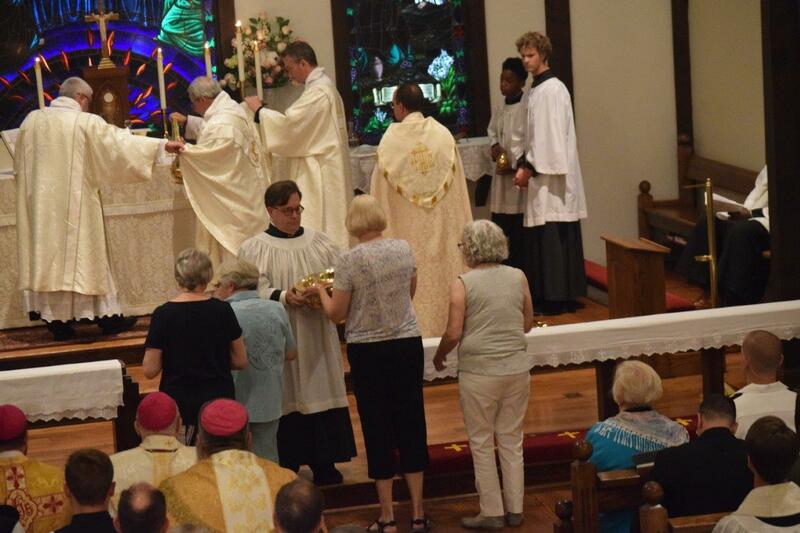 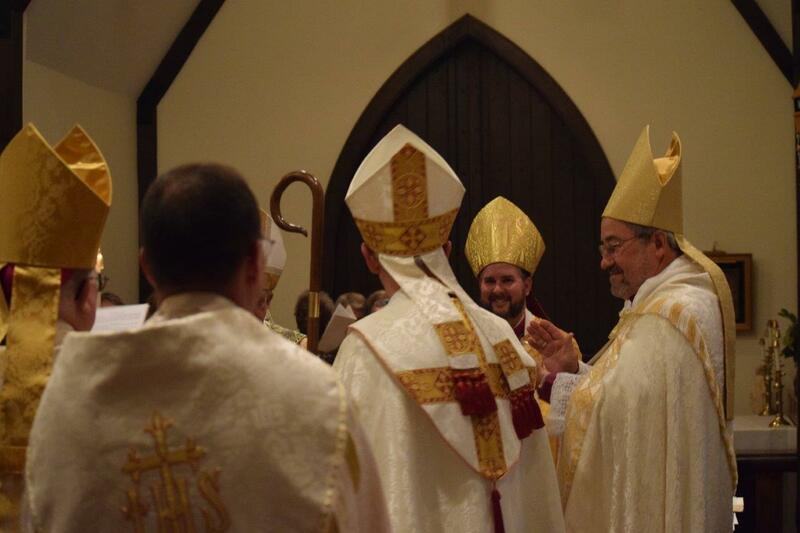 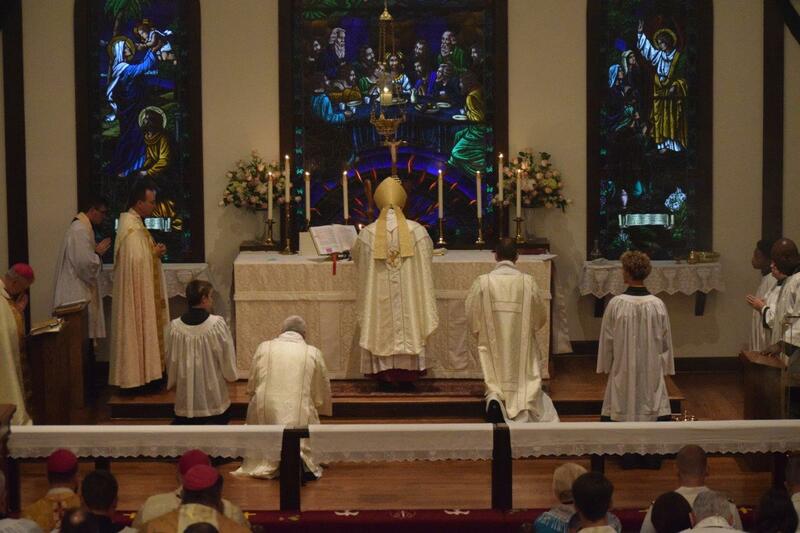 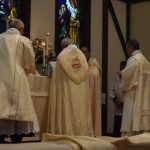 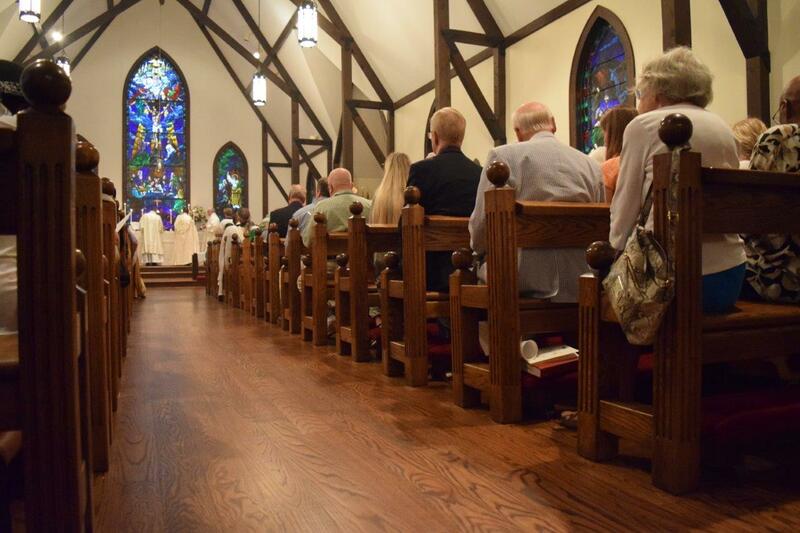 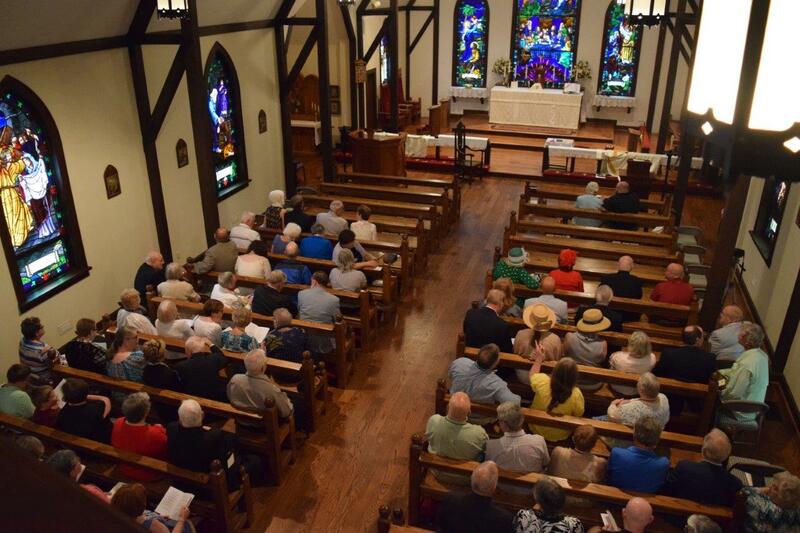 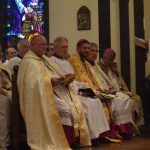 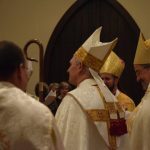 The consecration took place during the Synod Eucharist of the Diocese of the Eastern United States (DEUS) at St. Michael the Archangel Church in Charlotte, North Carolina. 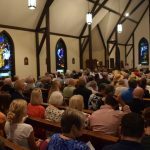 The church was filled to over flowing with more than 250 in attendance. 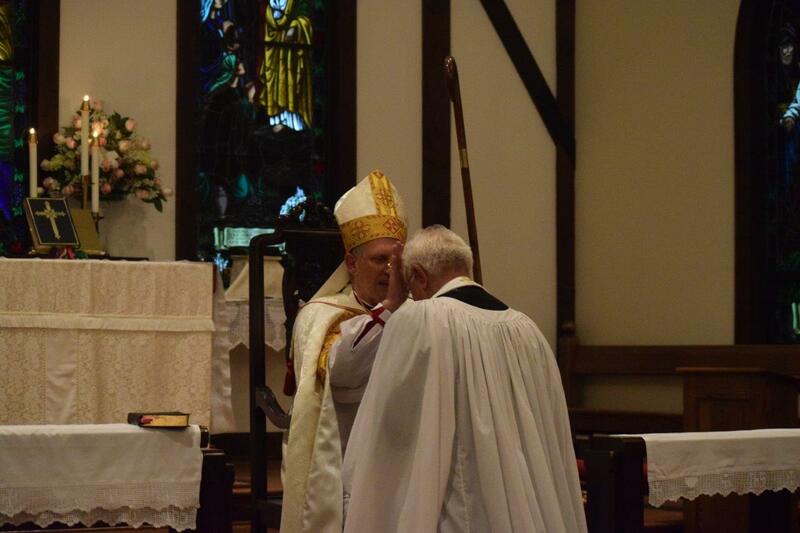 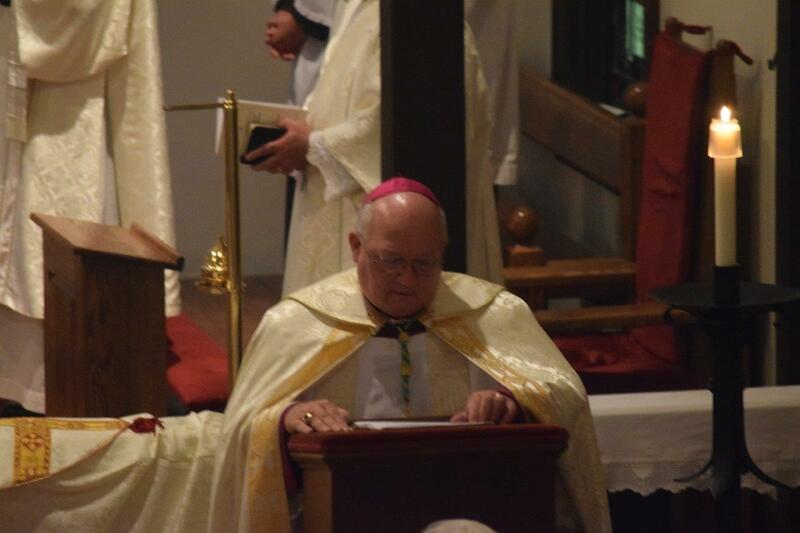 The Most Rev’d Walter H. Grundorf, Presiding Bishop, was the celebrant, preacher, and chief consecrator. 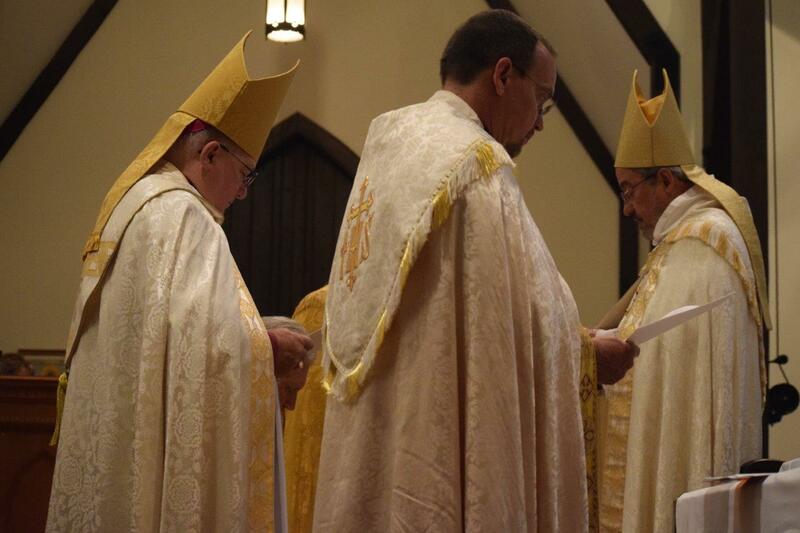 The Right Rev’d Chandler H. Jones and the Right Rev’d William H. Perkins, both suffragan bishops of the DEUS, presented Fr. 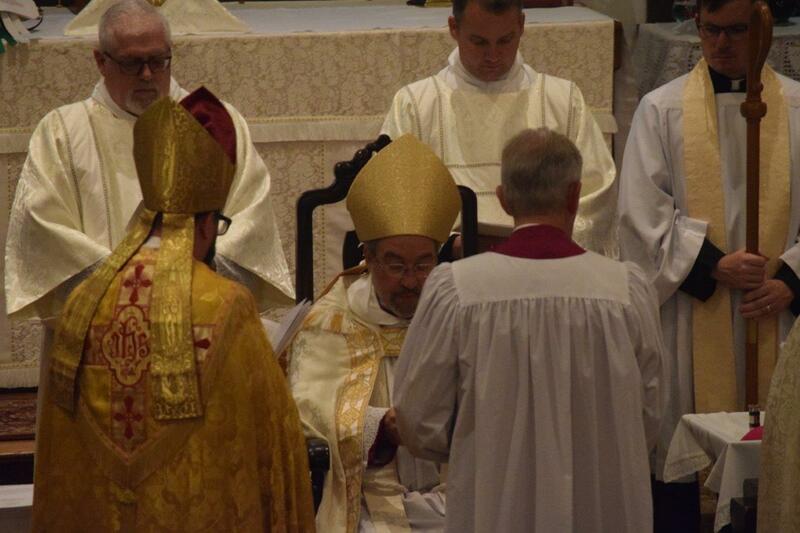 Haines to the presiding bishop. 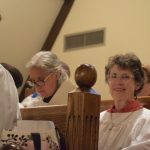 They also served as co-consecrators. 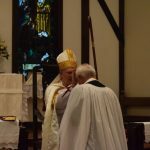 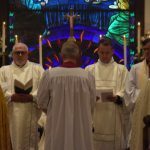 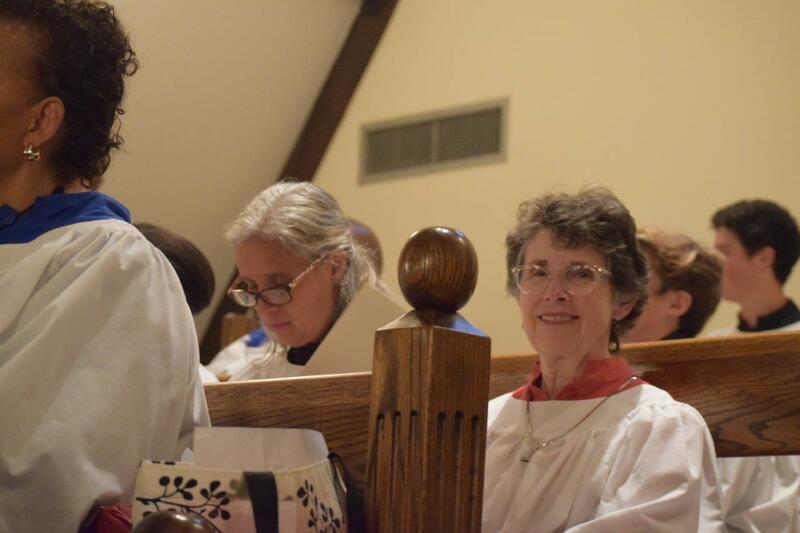 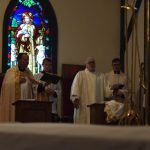 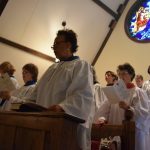 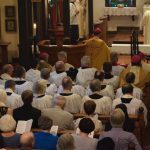 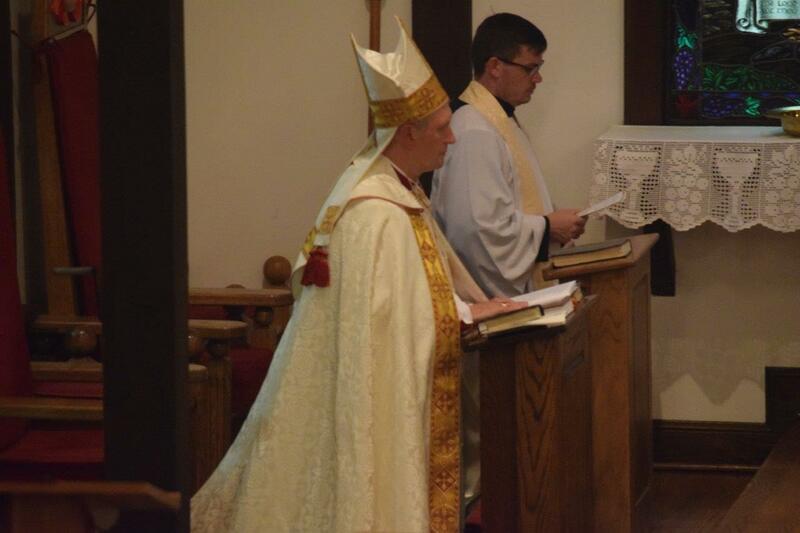 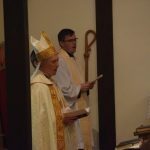 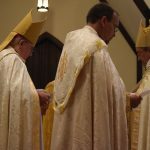 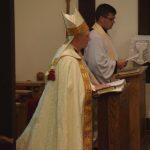 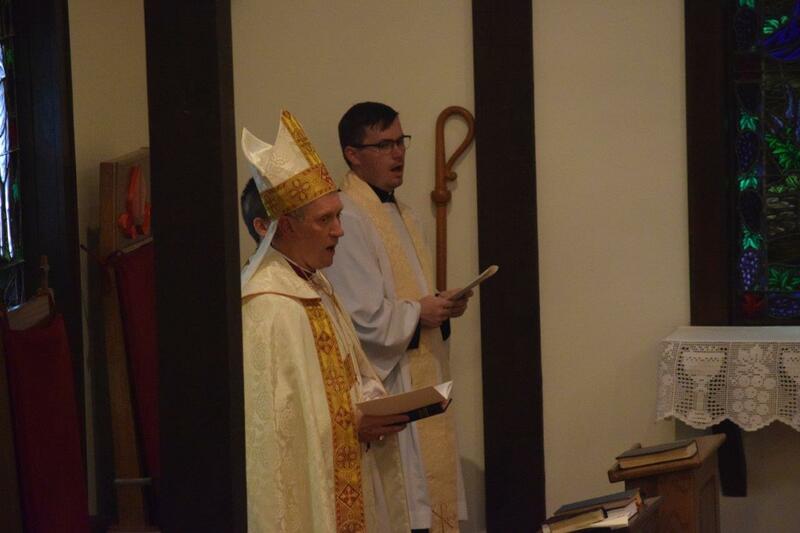 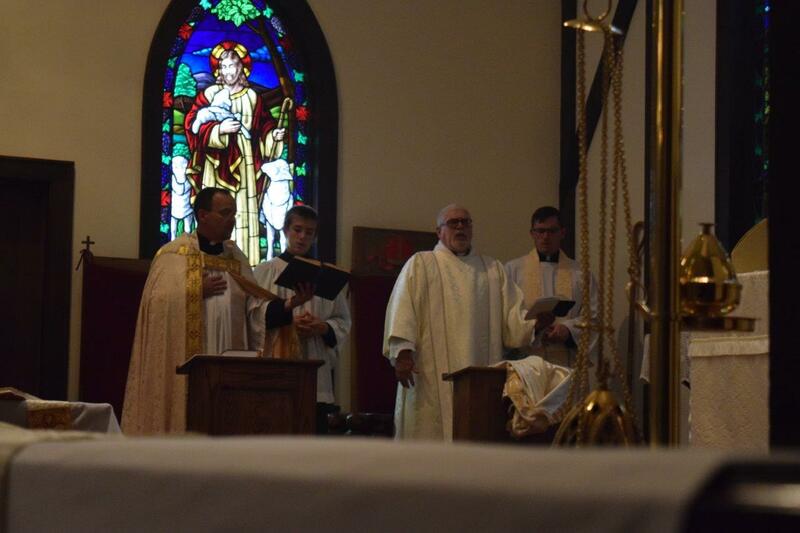 Also serving as co-consecrators were the Right Rev’d Paul C. Hewett, Ordinary of the Diocese of the Holy Cross, and the Right Rev’d Robert S. Loiselle, an assistant bishop in the DEUS. 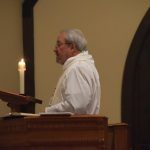 The Venerable Erich A. Zwingert was the Master of Ceremonies and Litanist and the Rev’d Brian Oldfield served as the Presiding Bishop’s Chaplain. 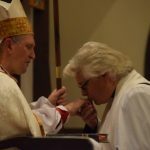 The Very Rev’d J. Gordon Anderson was the Deacon of the Mass and the Very Rev’d Ralph F. Waterhouse served as Subdeacon. 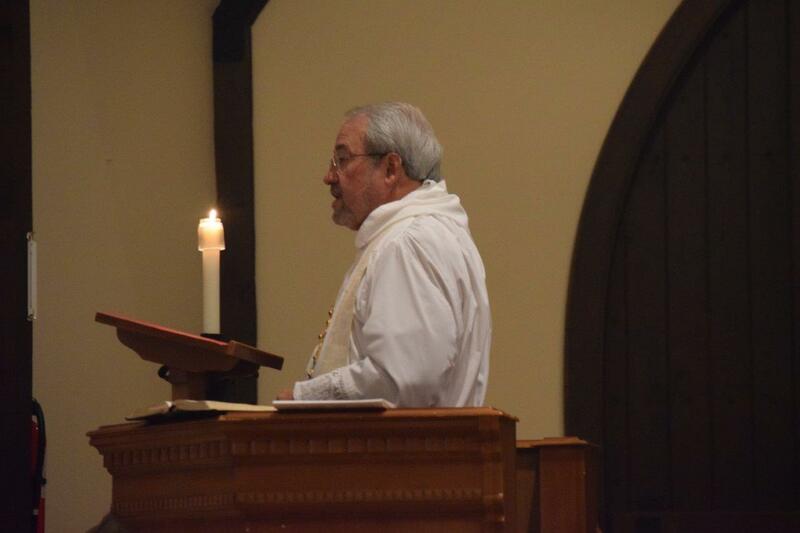 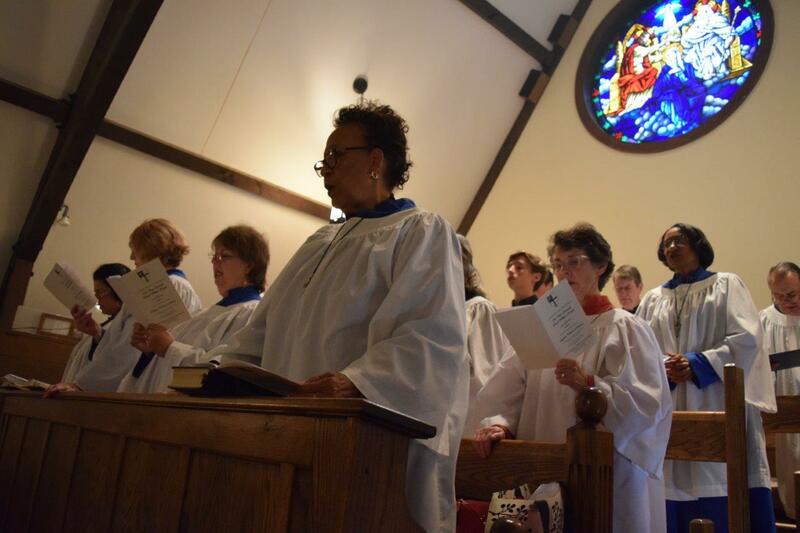 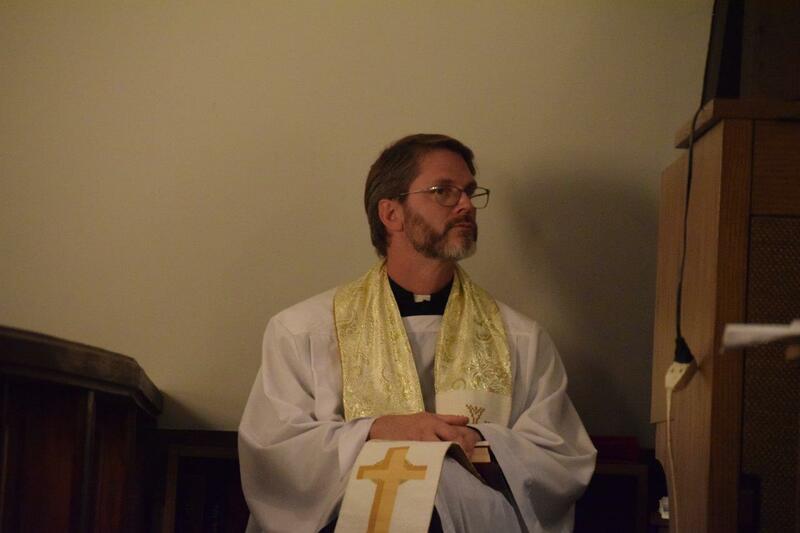 The Rev’d Bradley S. Cunningham was the Cantor for the Eucharist. 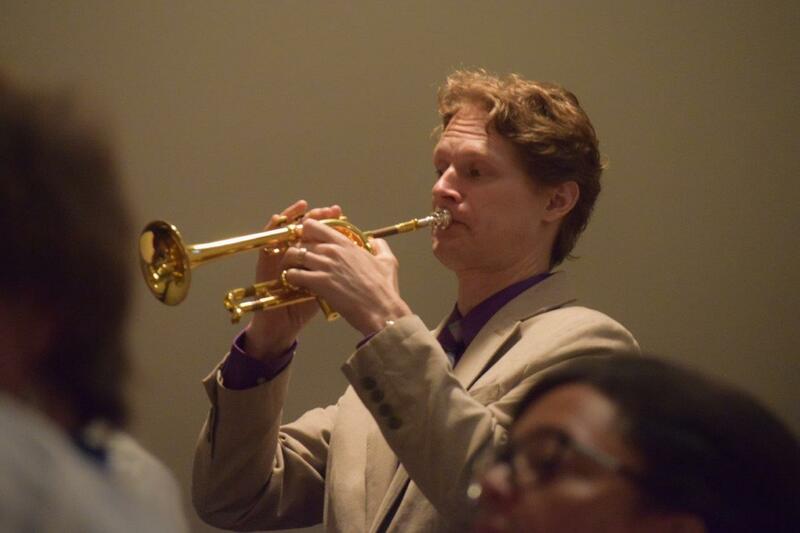 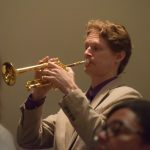 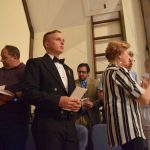 Mr. D. John Apple, organist and choirmaster of St. Michael’s Church, served in that same capacity for this event and Mr. Gordon Hann was the Trumpeter. 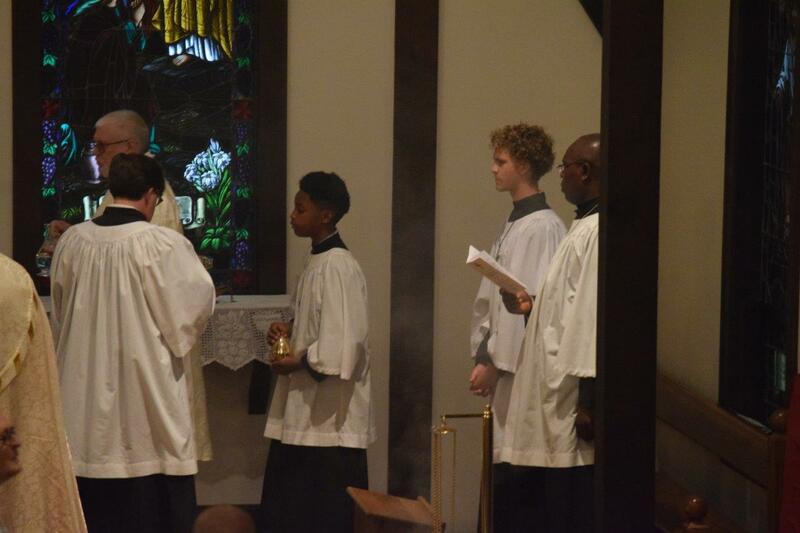 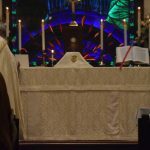 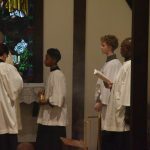 The following men from St. Michael’s Church were the servers at the altar for the Eucharist: Mr. Charles Miller, Thurifer; Mr. Henry Smythe, Crucifer; Masters Brian Montgomery and Jacob Terry, Acolytes; and Master Akintayo Bankole, Boatboy. 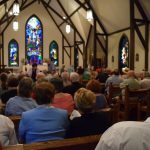 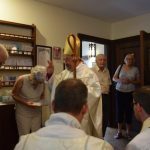 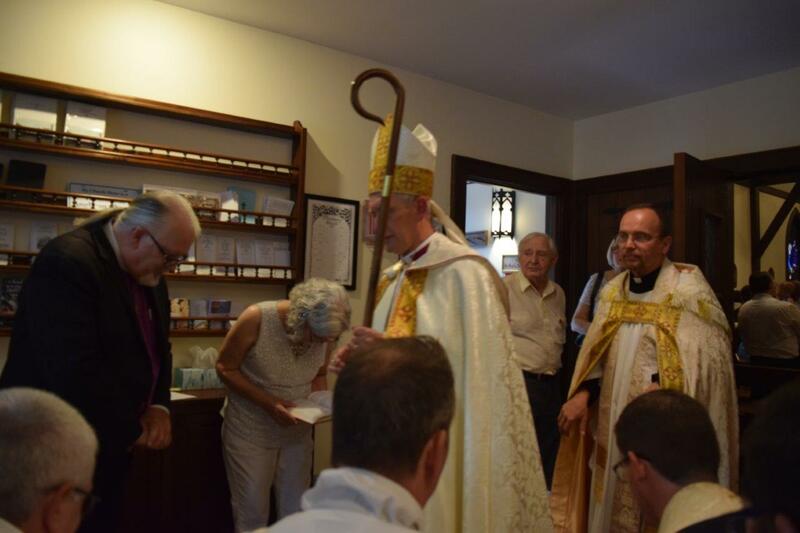 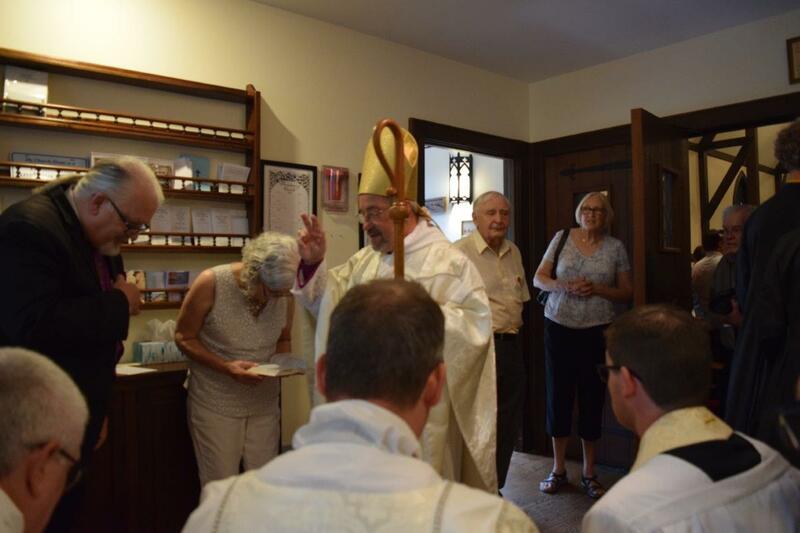 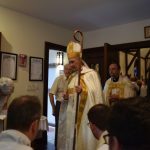 A reception in honor of Bishop Haines, his wife, and his family, was held immediately after the consecration in the parish hall of St. Michael’s Church and was hosted by the Stemborowski, Terry, and Crosby families of the parish.